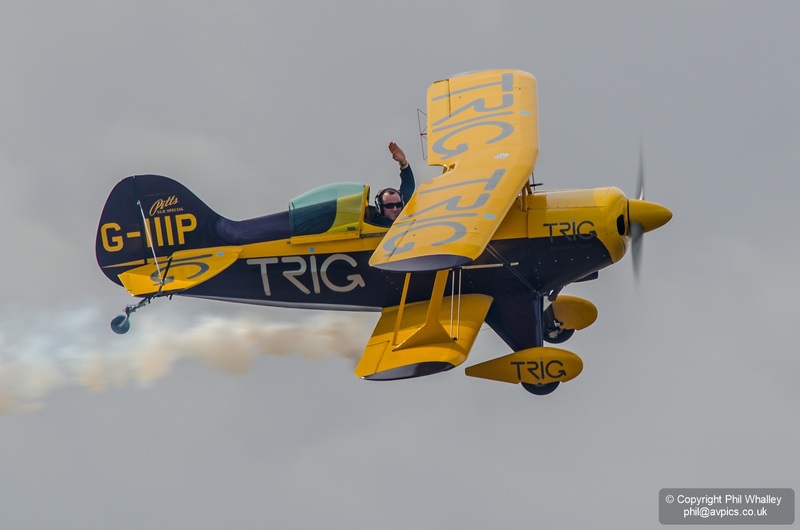 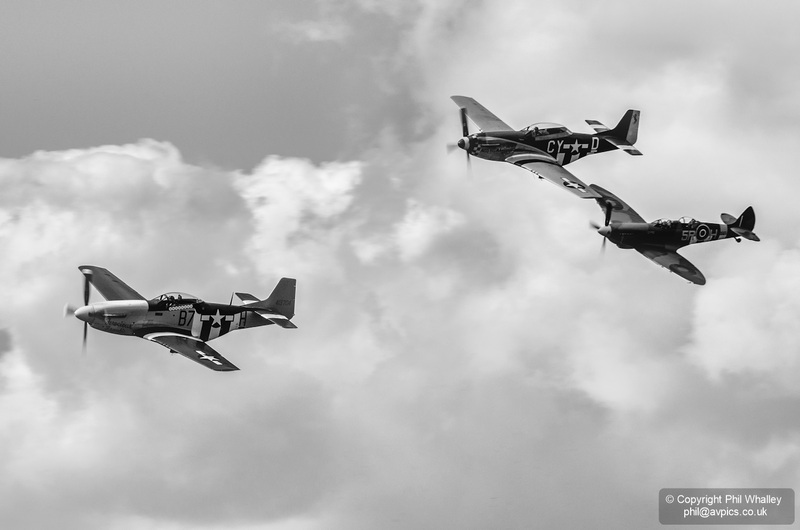 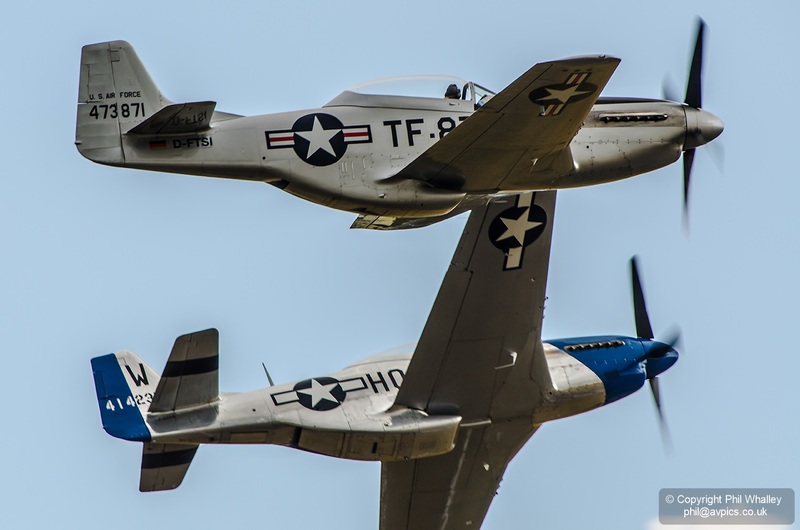 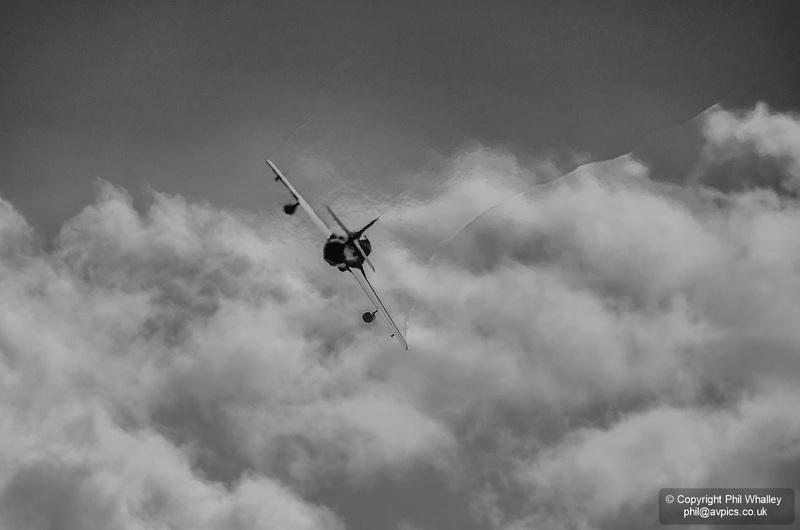 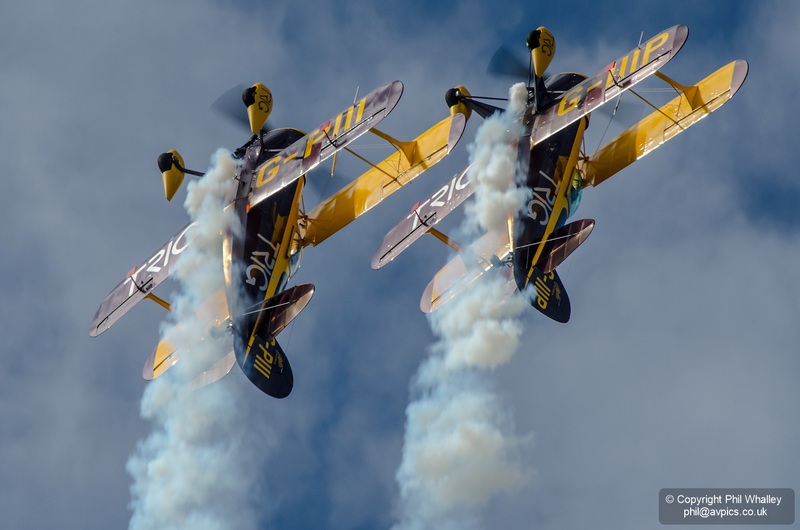 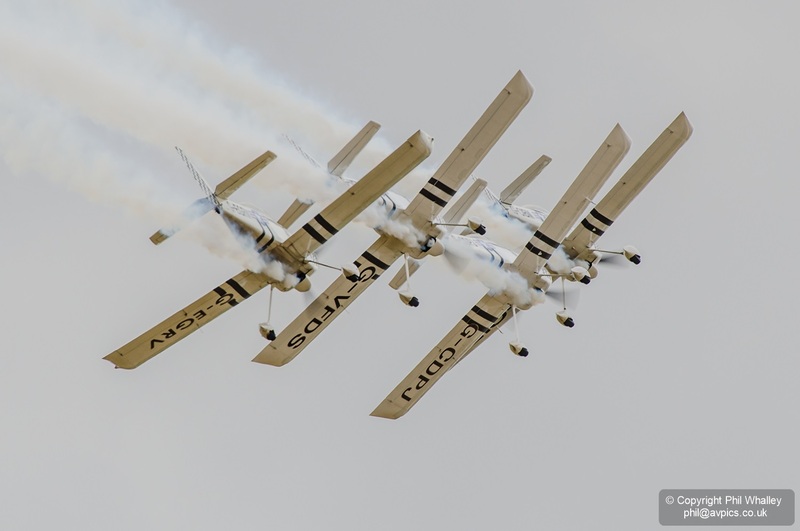 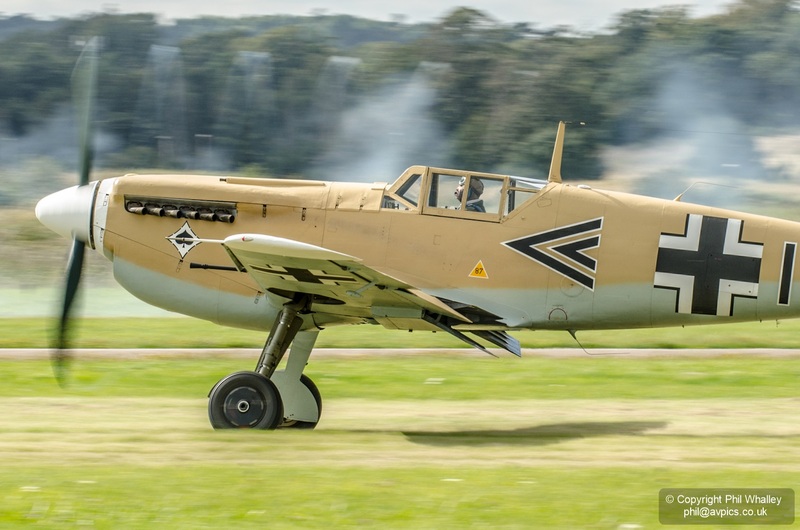 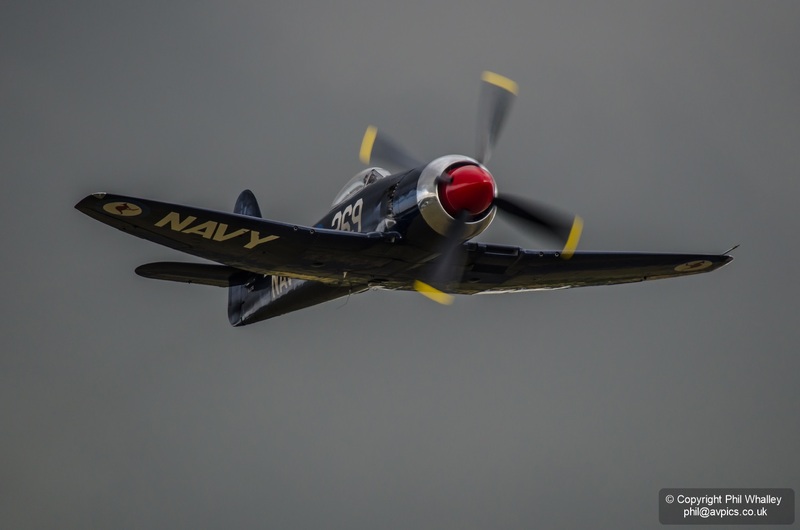 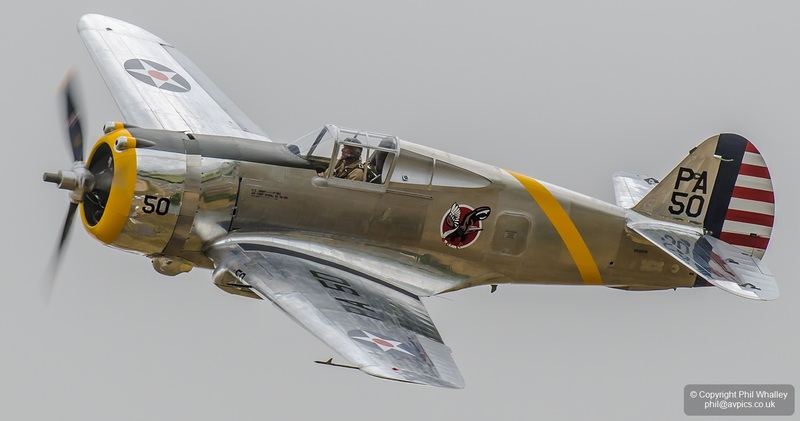 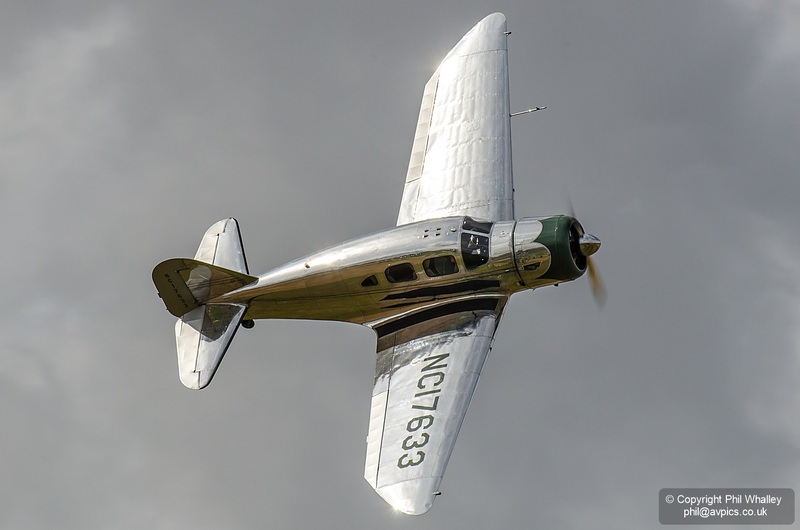 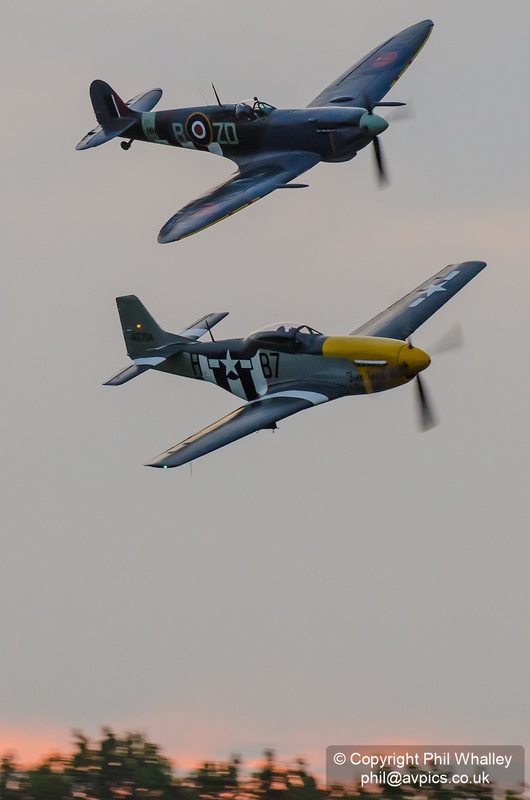 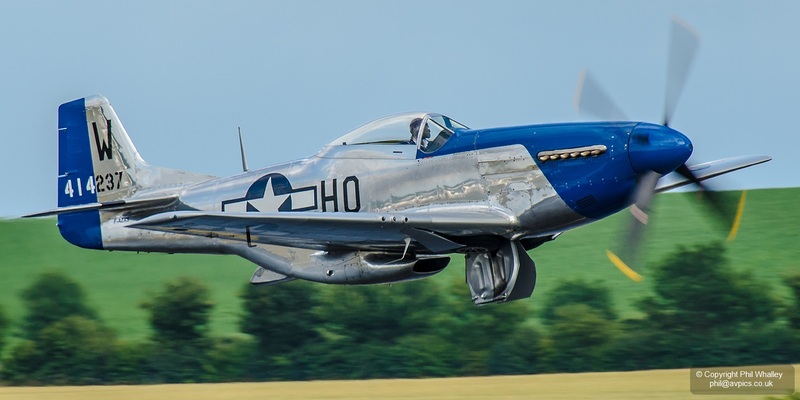 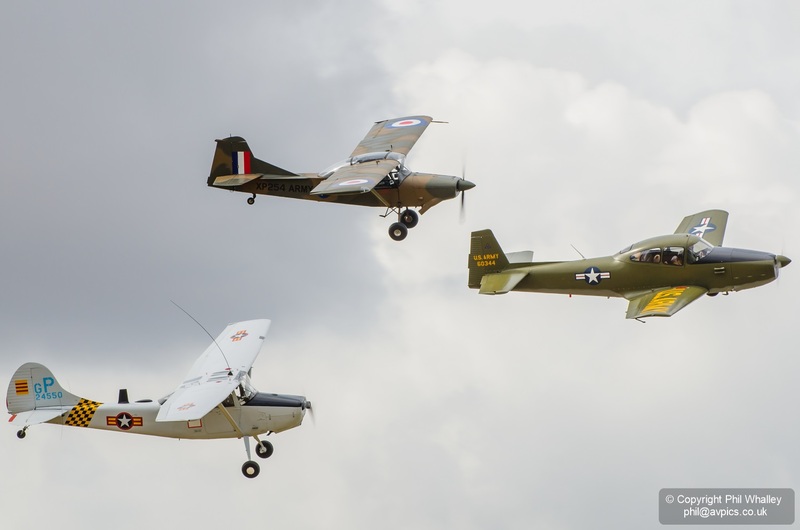 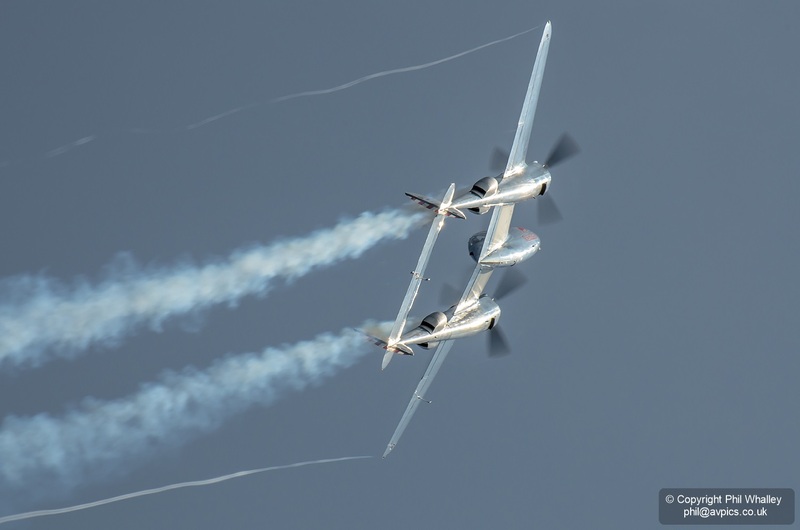 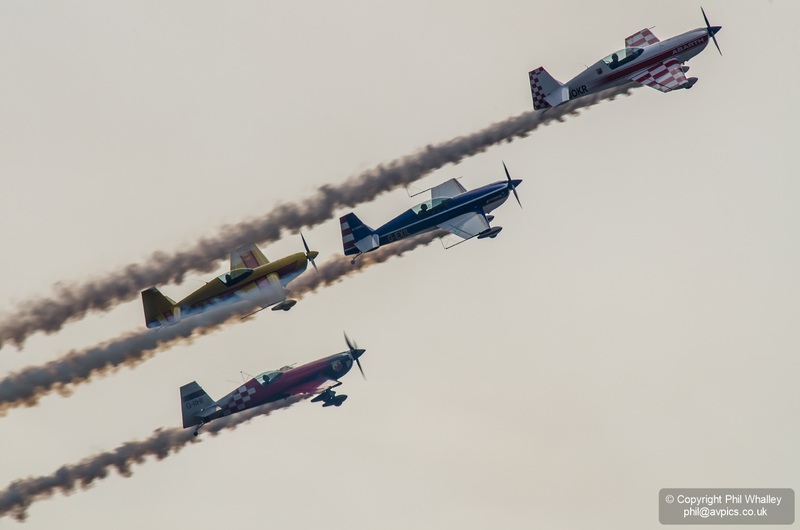 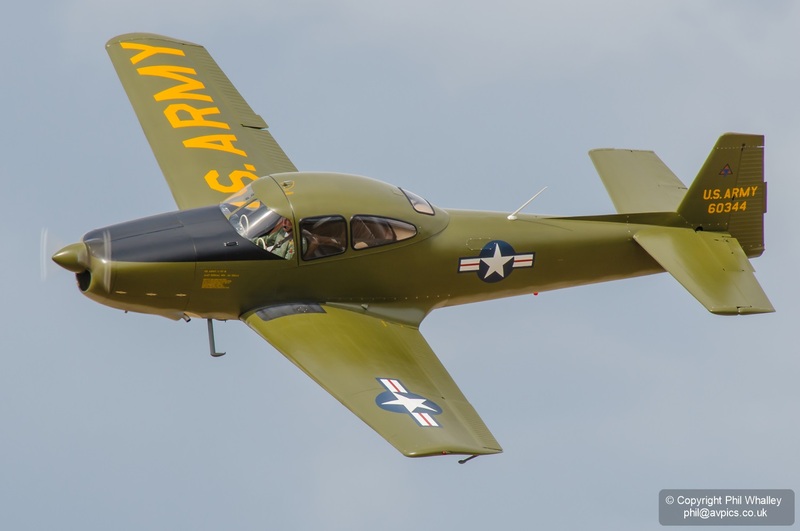 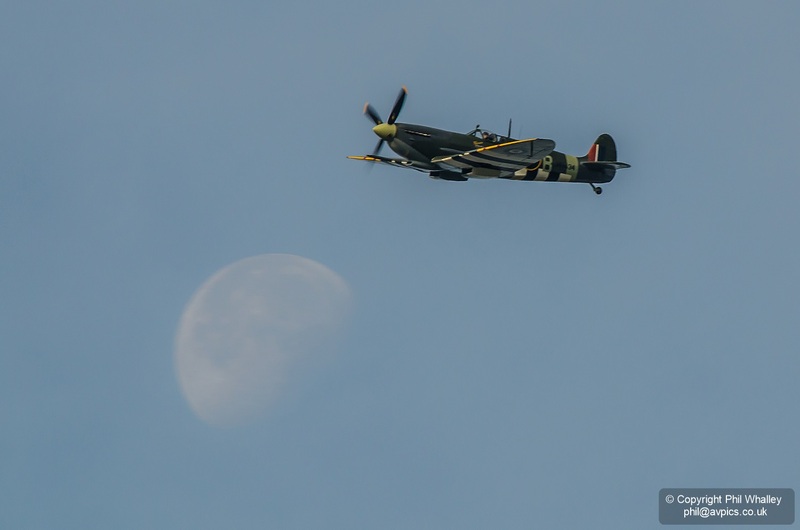 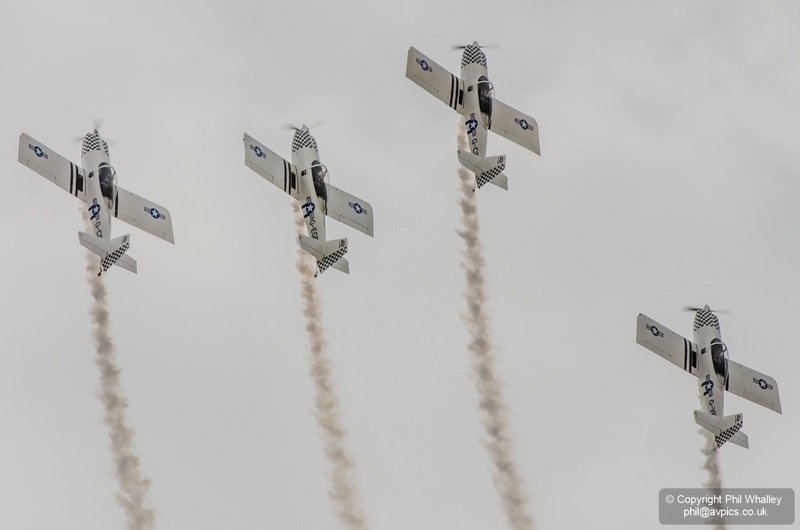 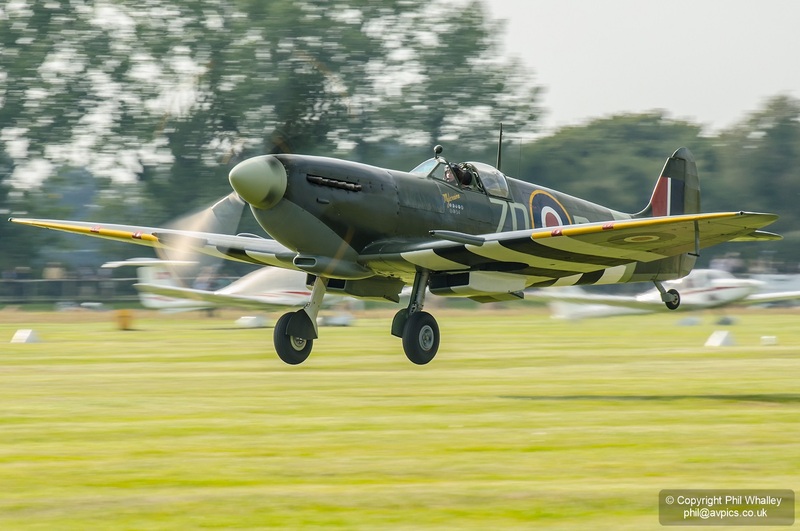 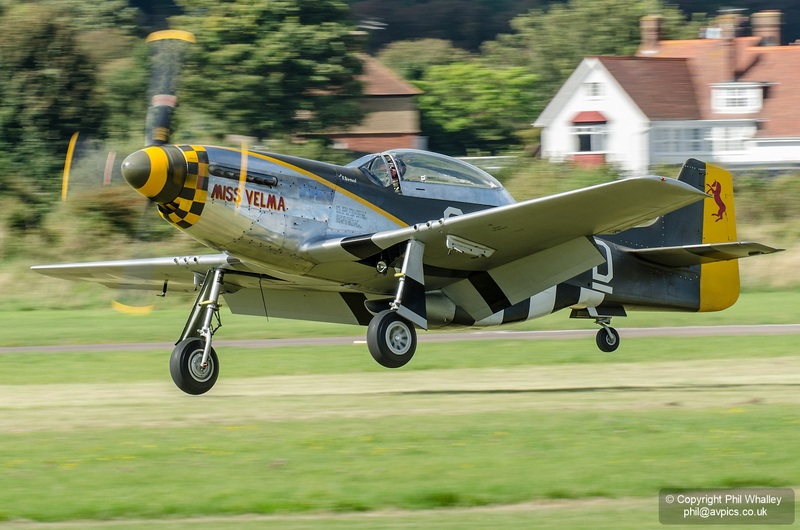 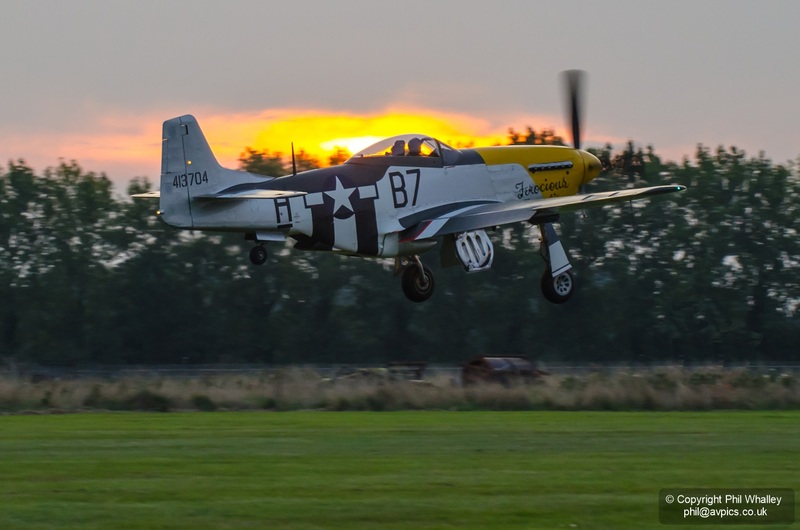 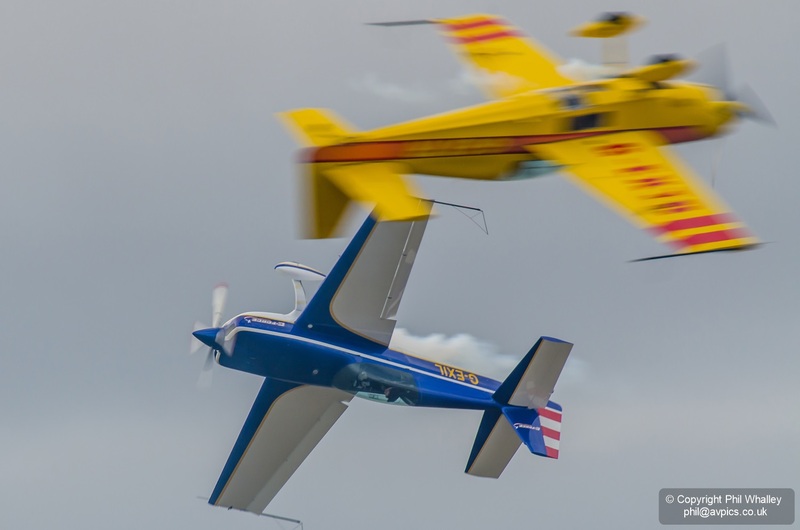 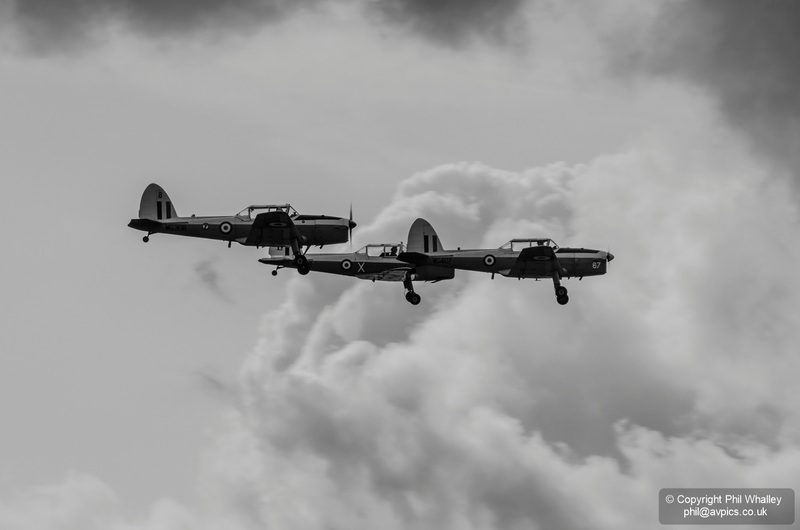 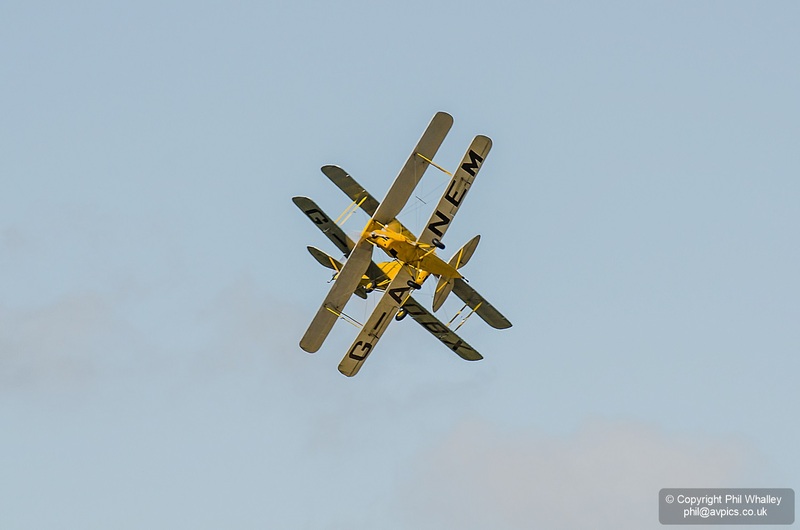 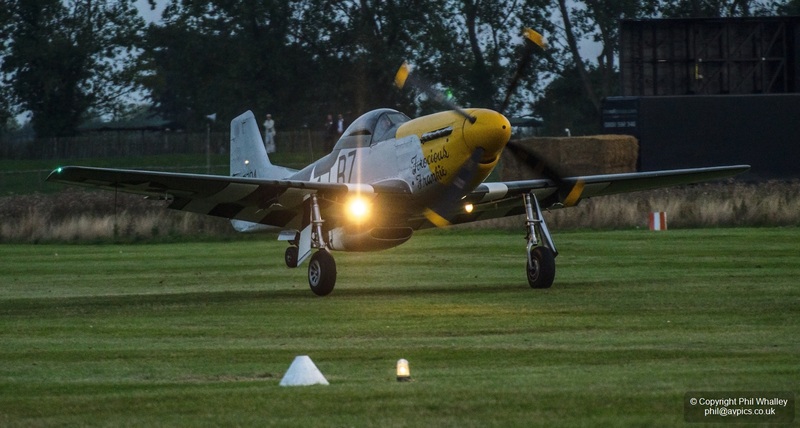 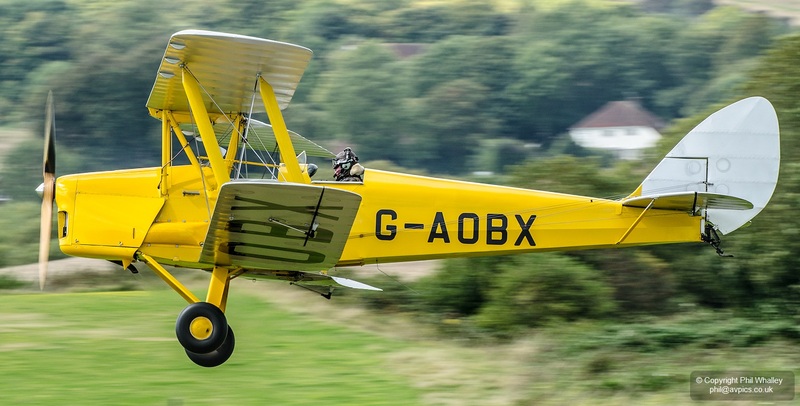 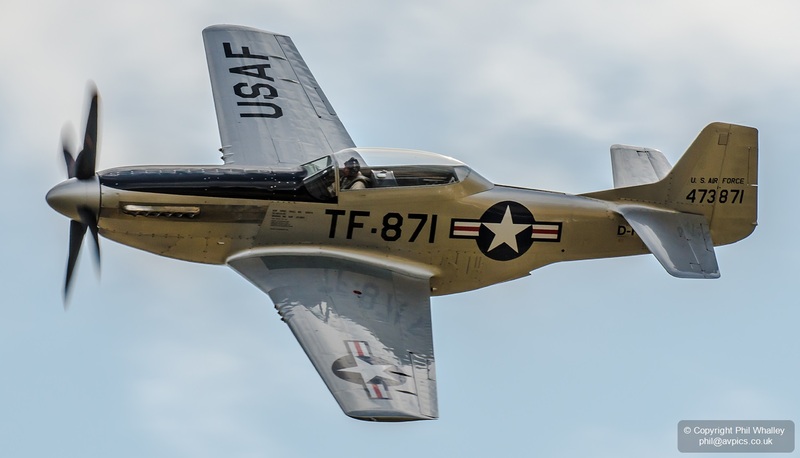 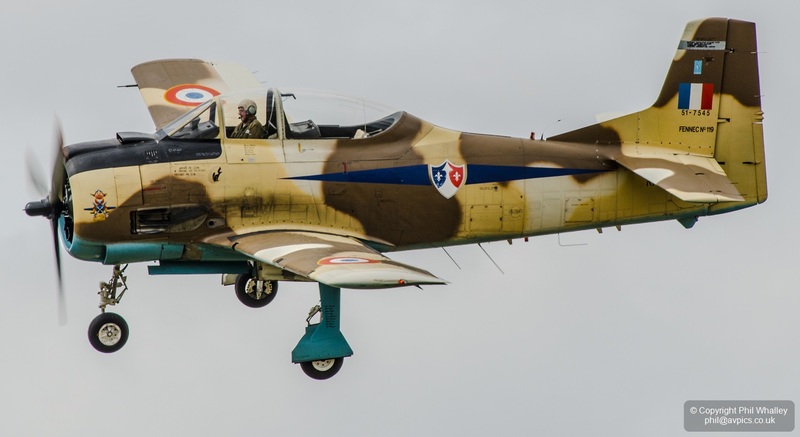 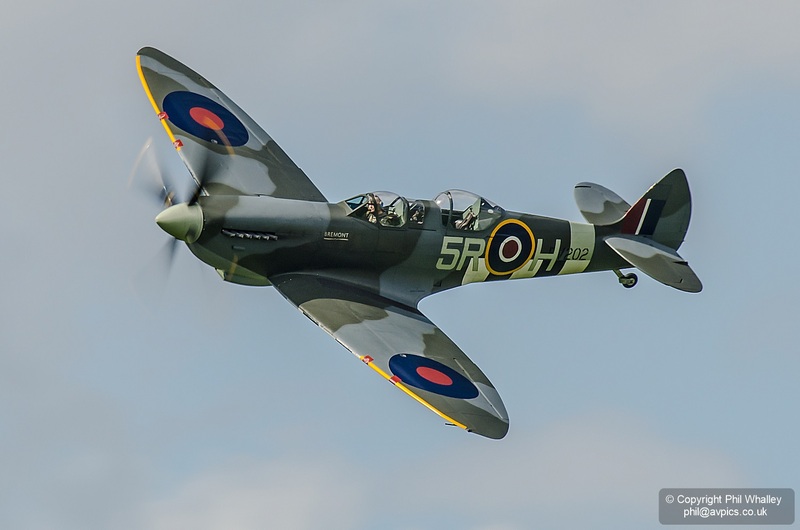 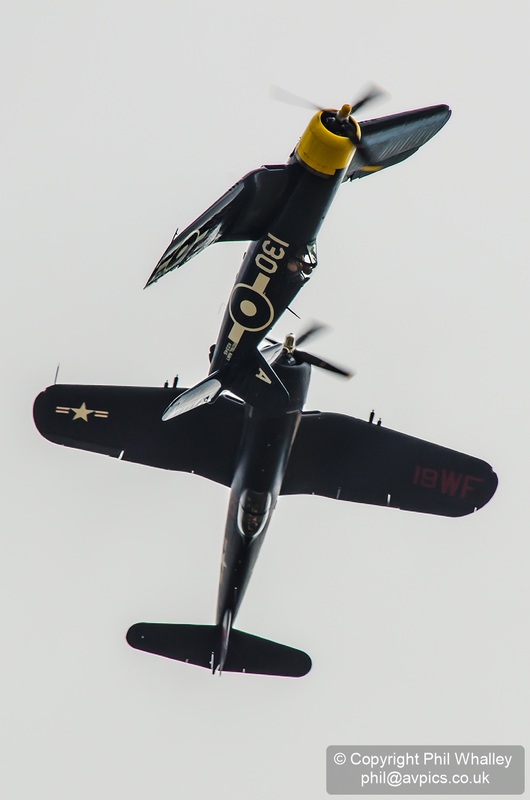 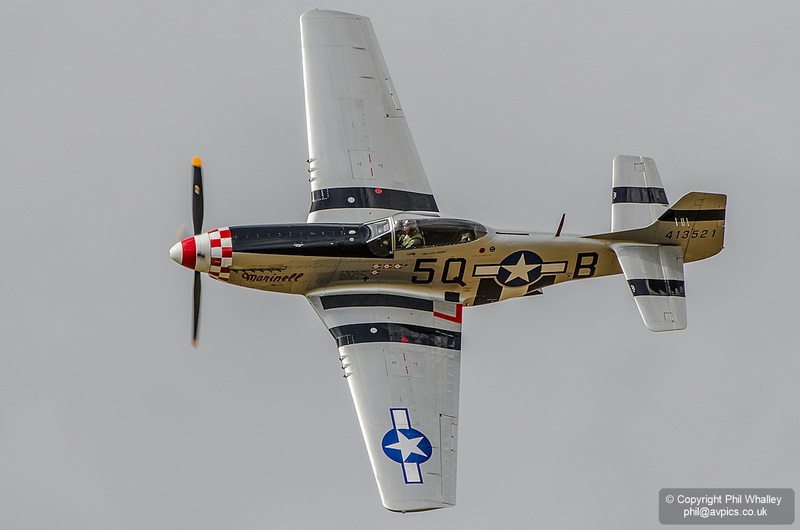 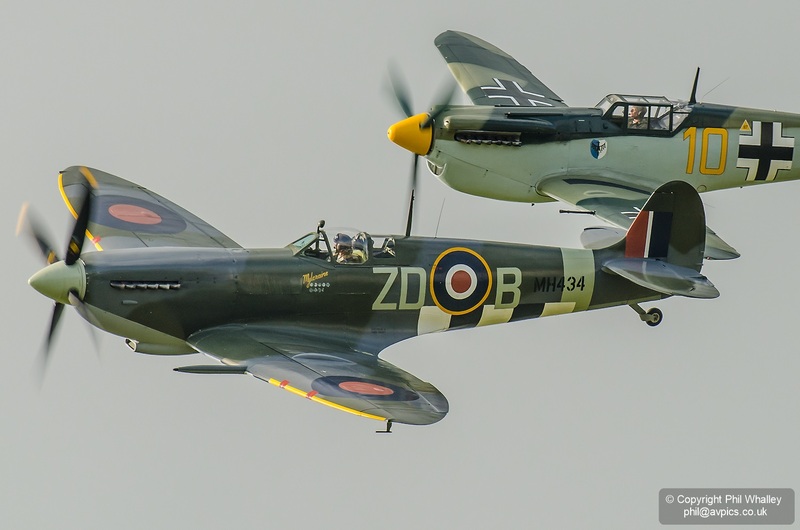 In a long overdue catch-up from this wonderful event, the below is a collection of images from the flying sequences during the Goodwood Revival, plus a couple of other movements, and passenger flights by the Boultbee Academy’s two-seat Spitfires. 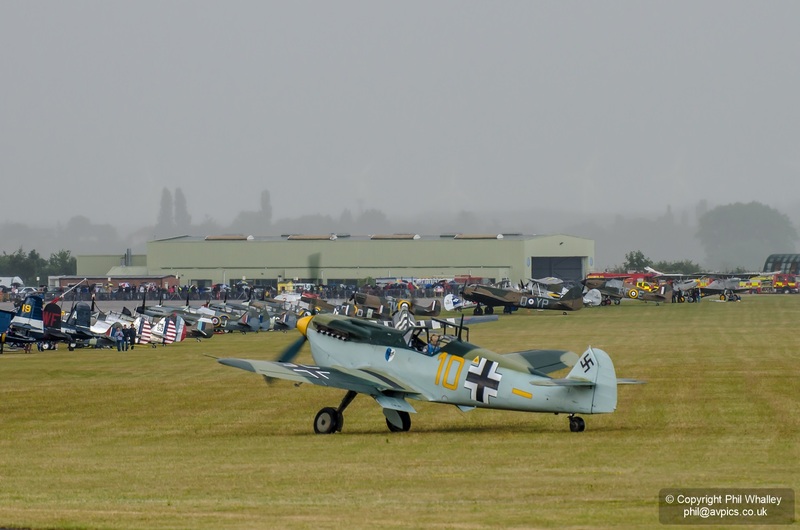 The weather was mixed over the three days, and was sadly at its worst for the finale – the 75th anniversary of the Battle of Britain. 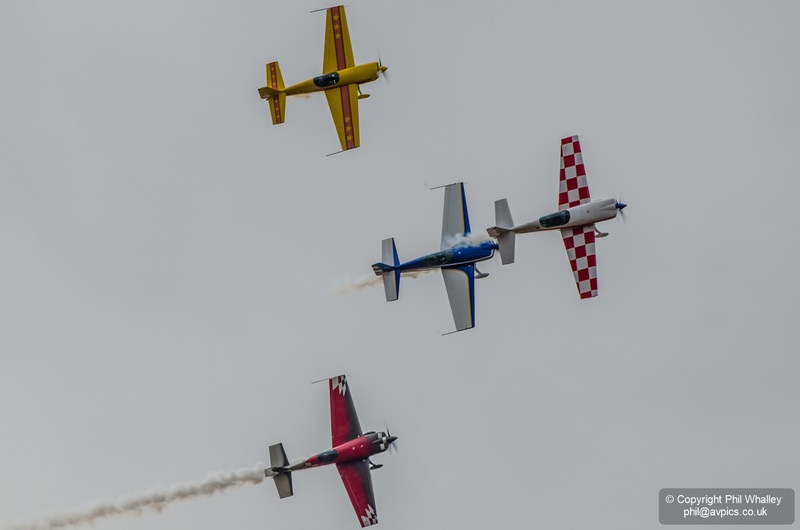 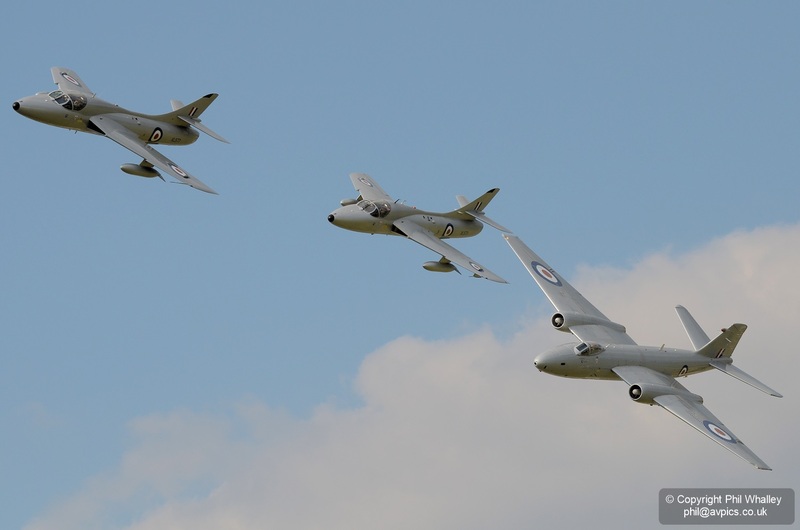 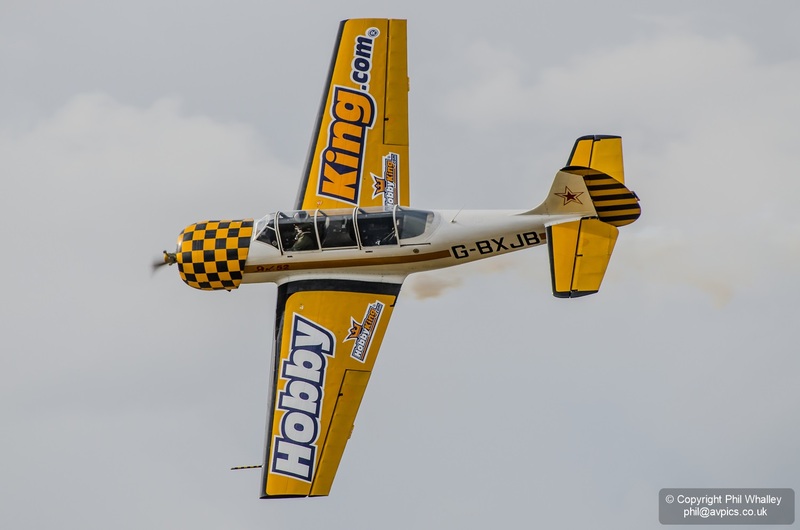 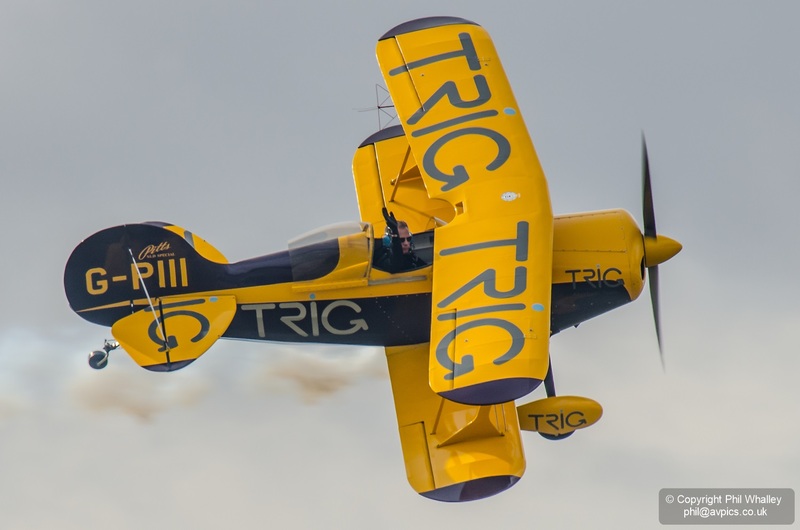 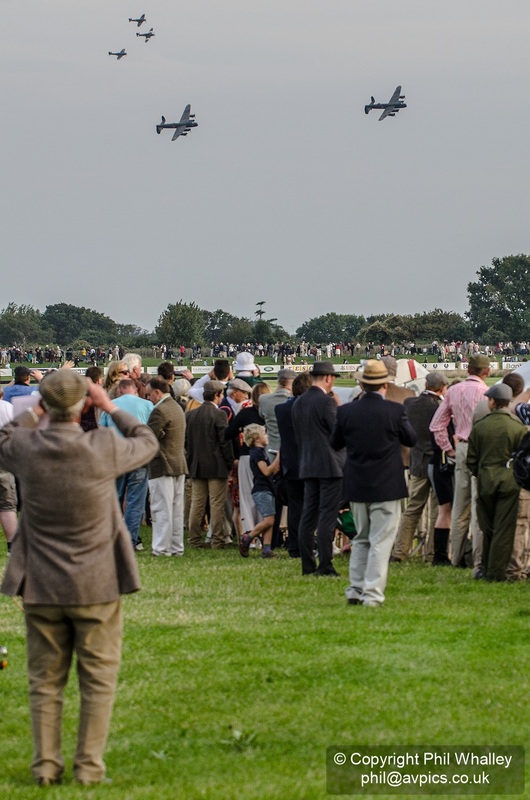 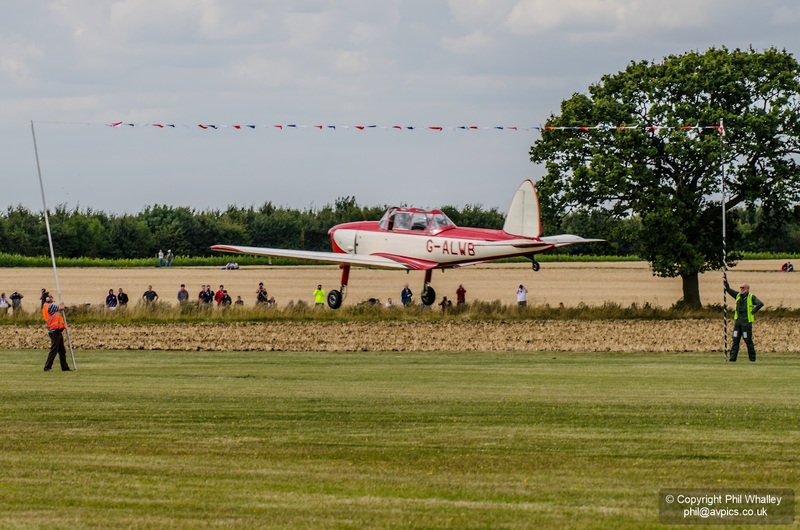 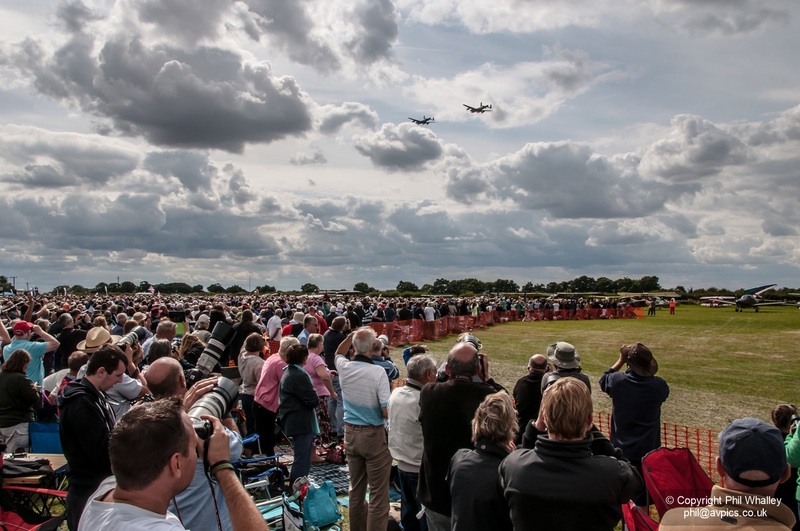 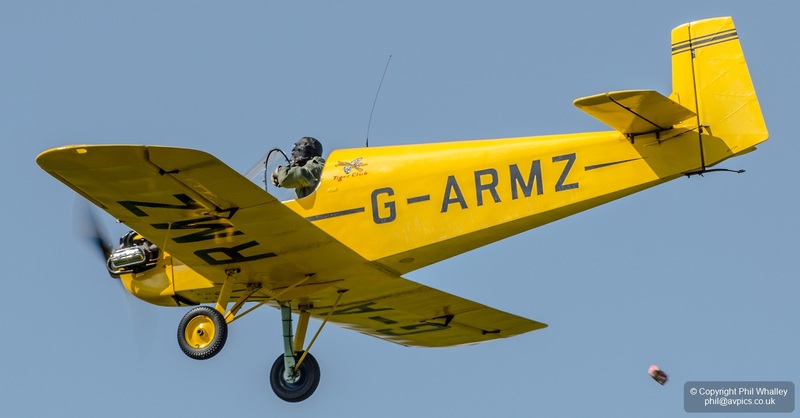 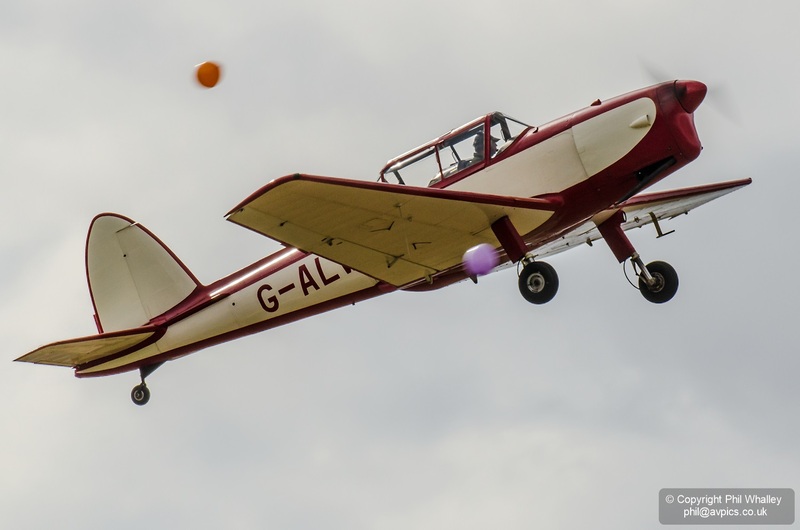 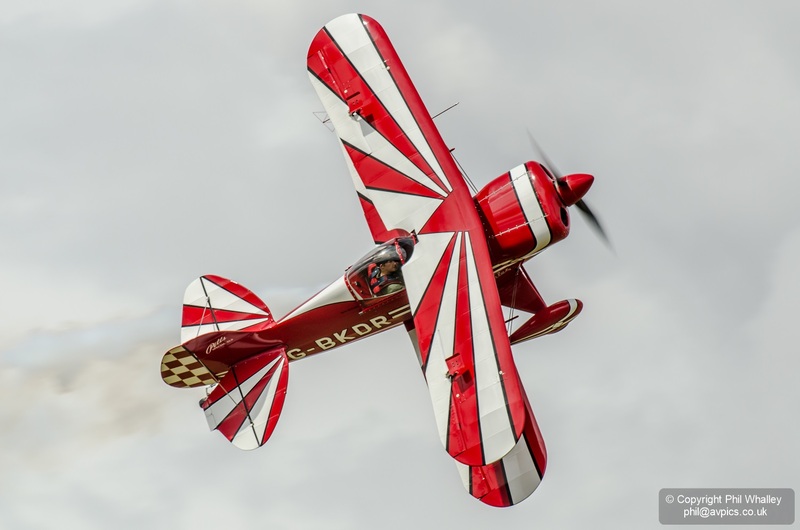 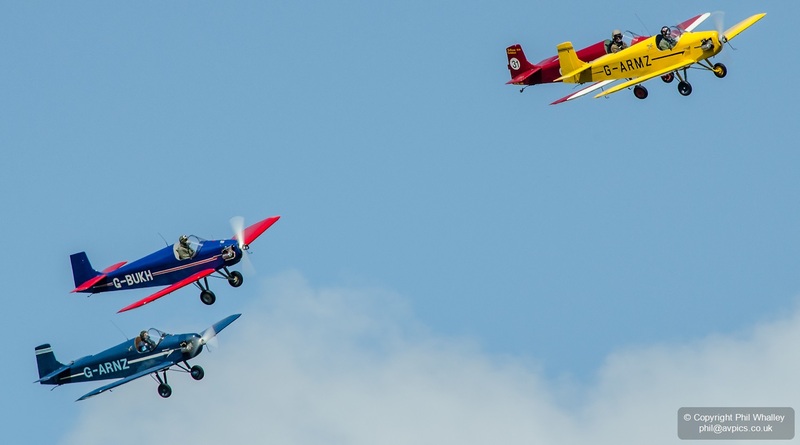 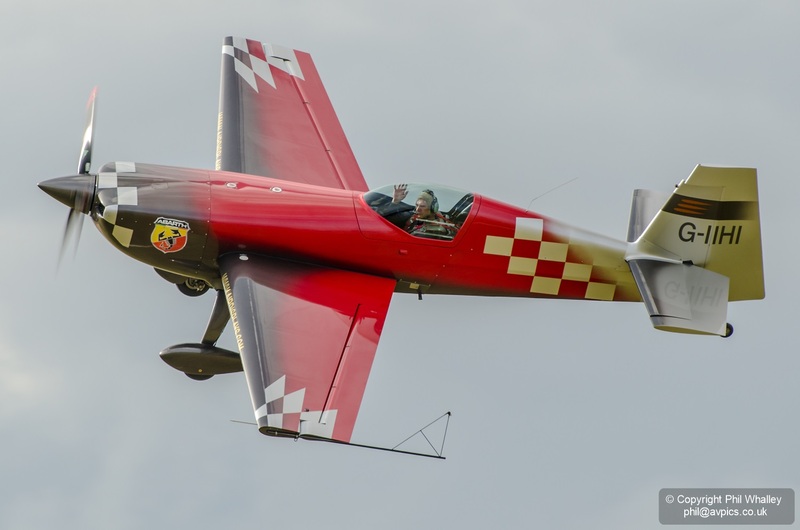 Due to the layout of the location no displays take place as such, more a number of flypasts as the aircraft make wide circuits before dipping down towards the runway in front of the Freddie March Spirit of Aviation enclosure. 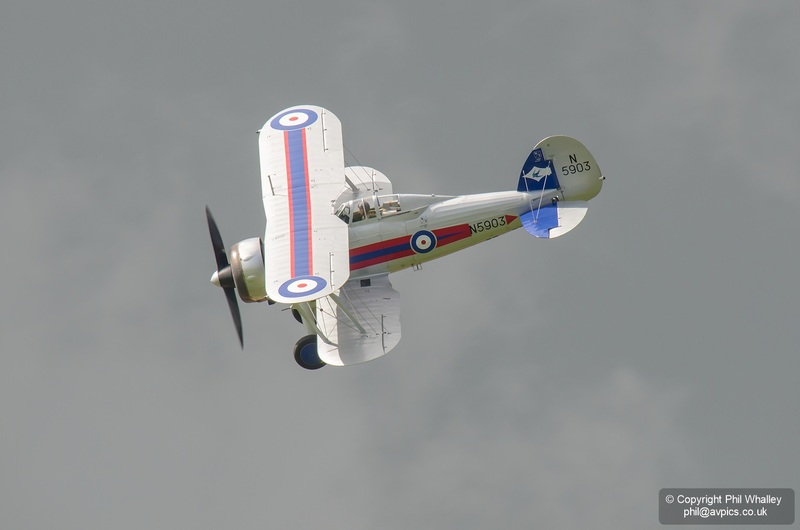 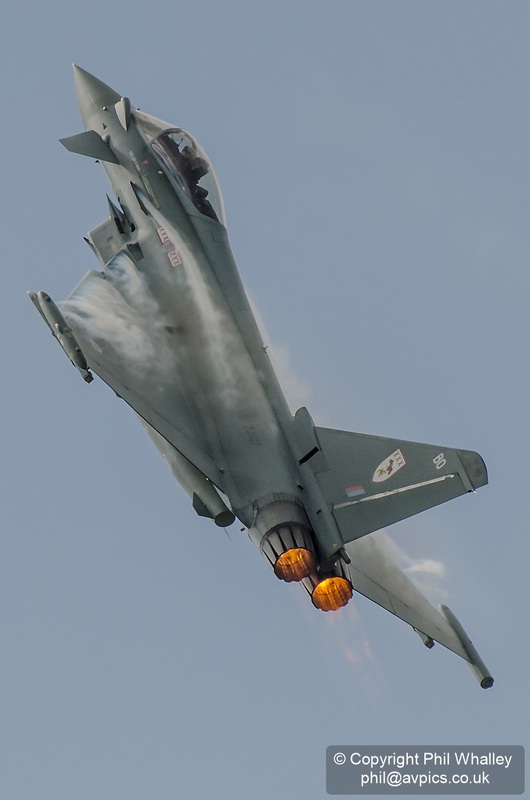 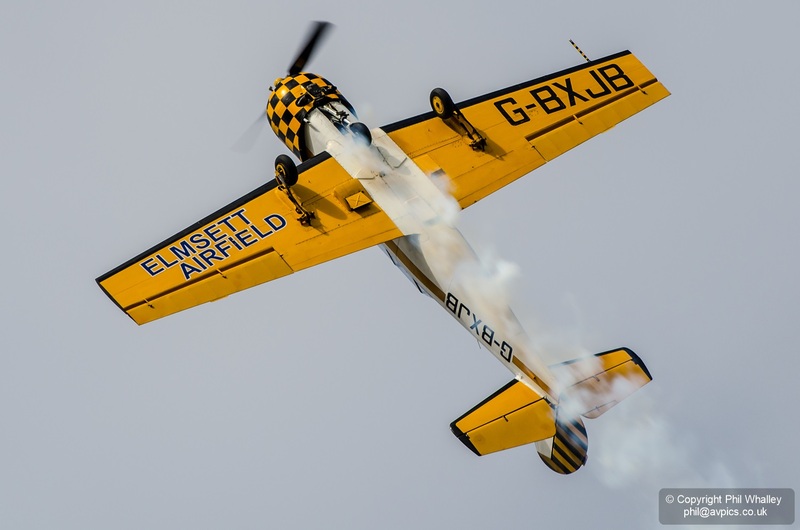 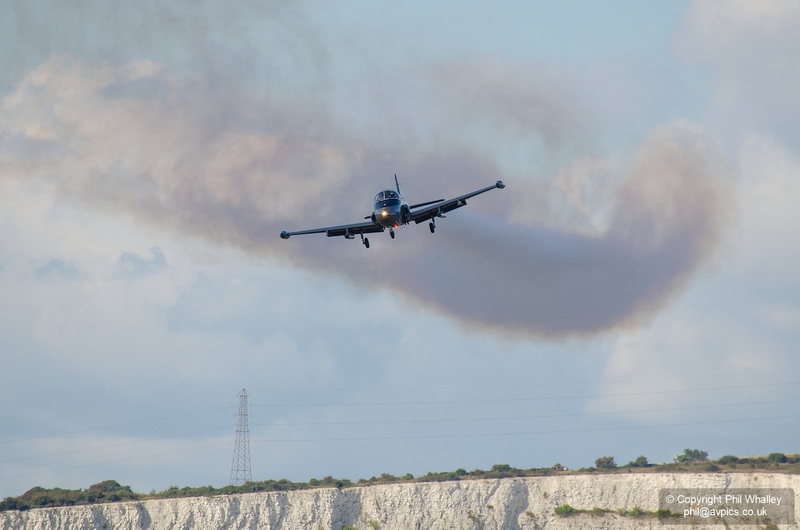 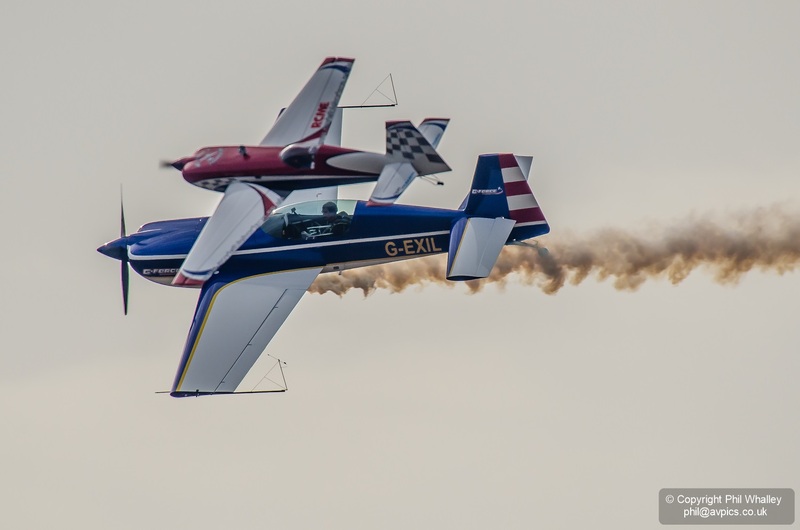 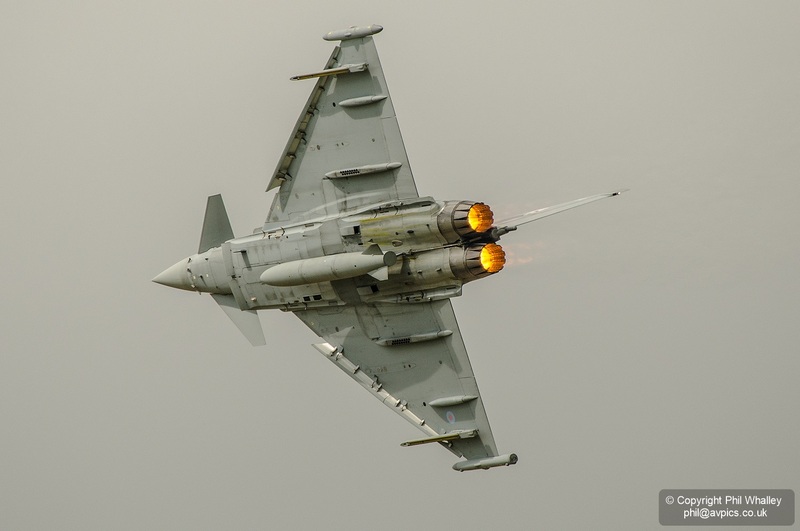 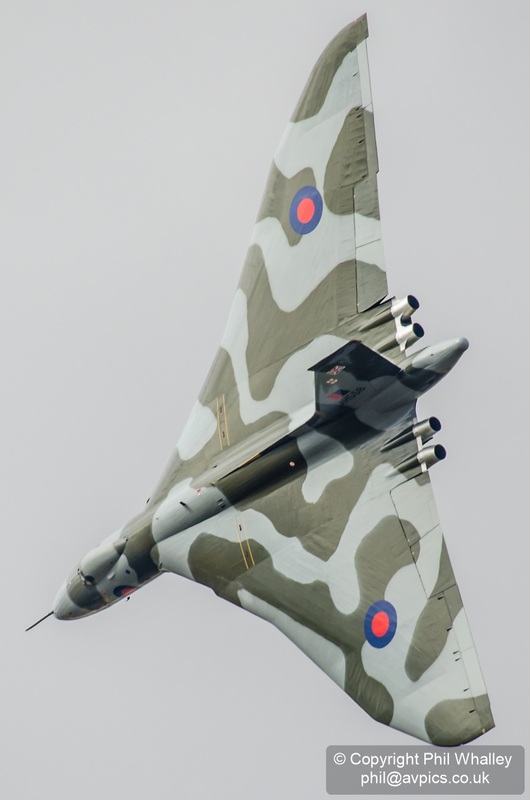 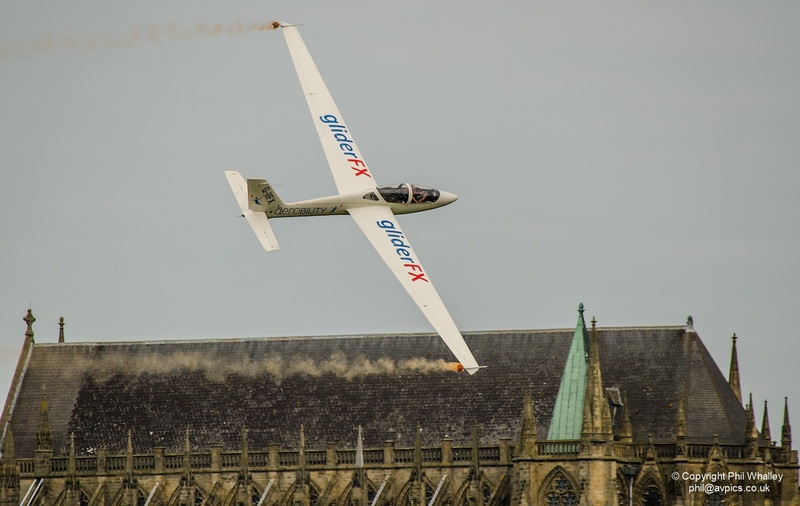 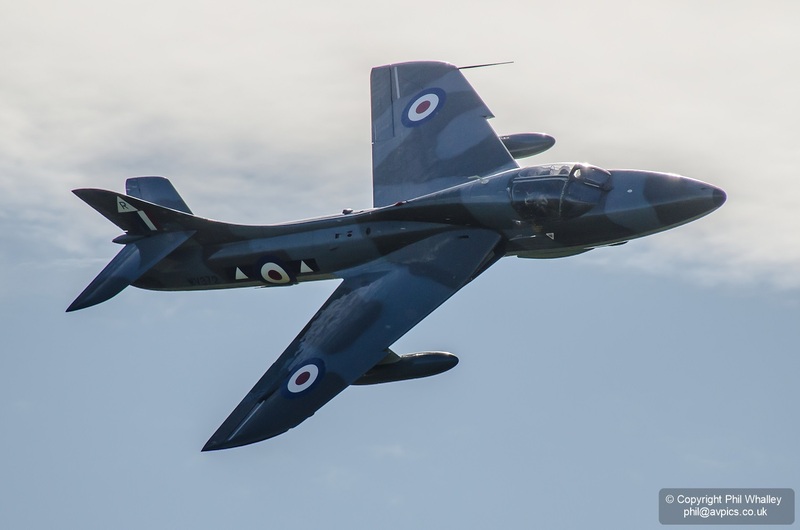 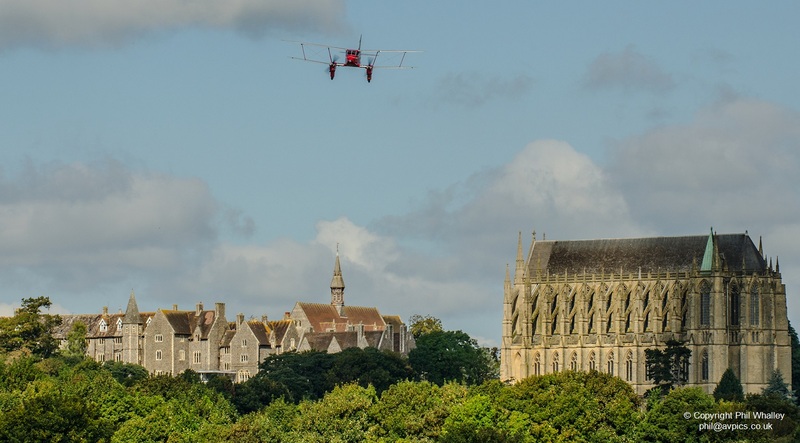 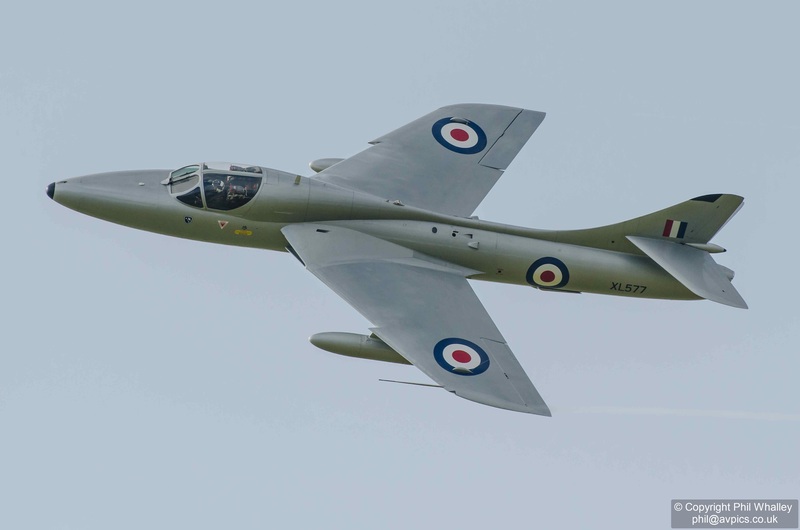 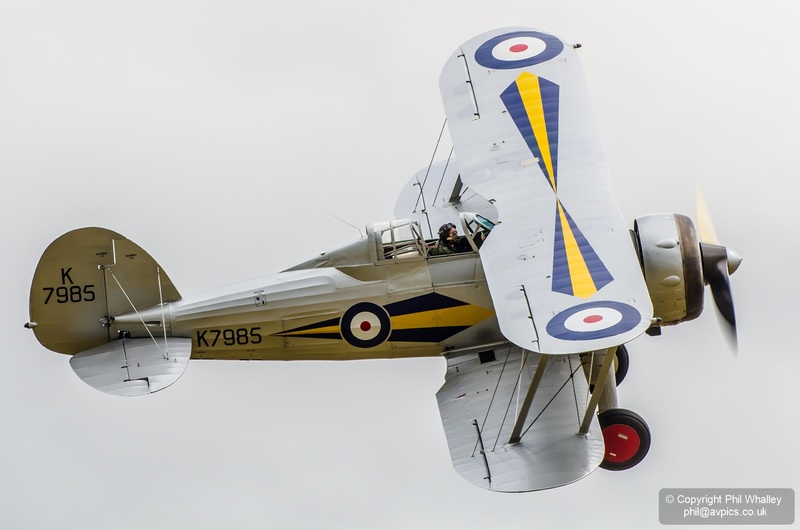 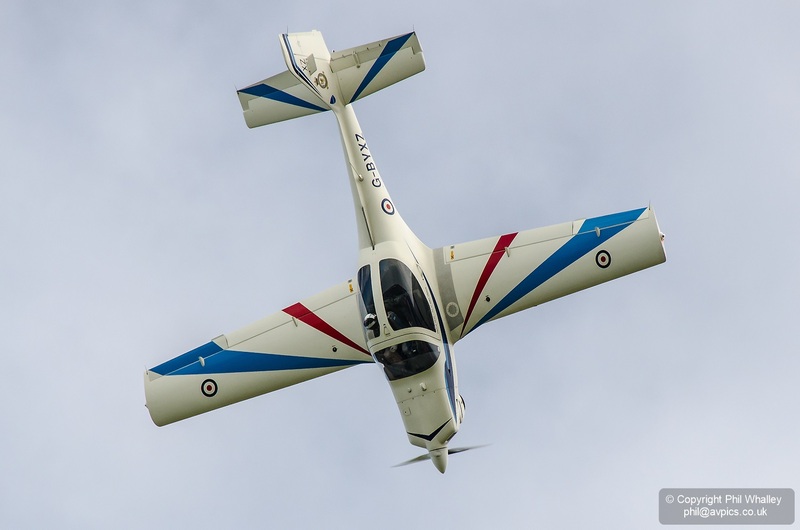 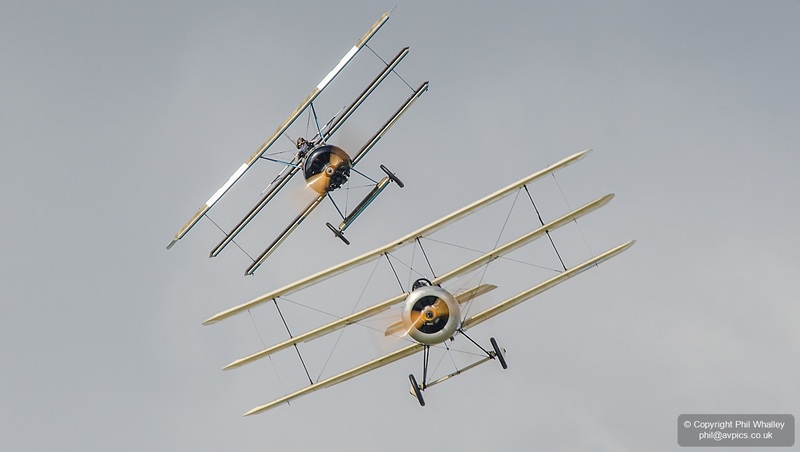 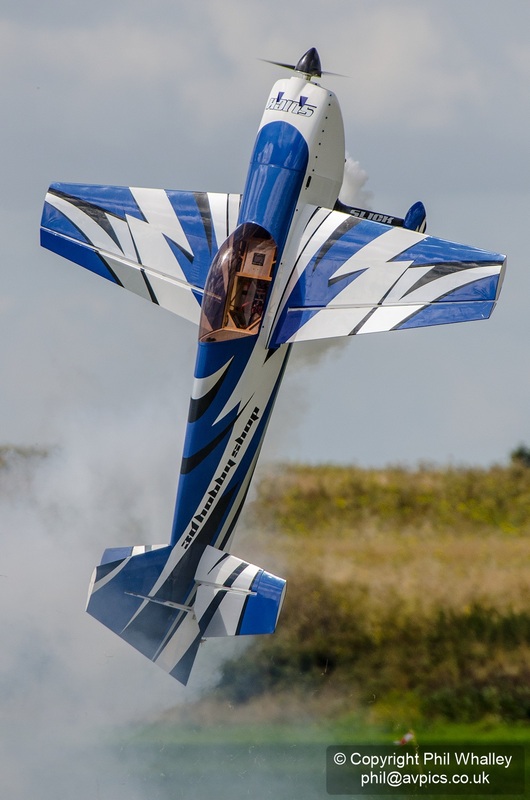 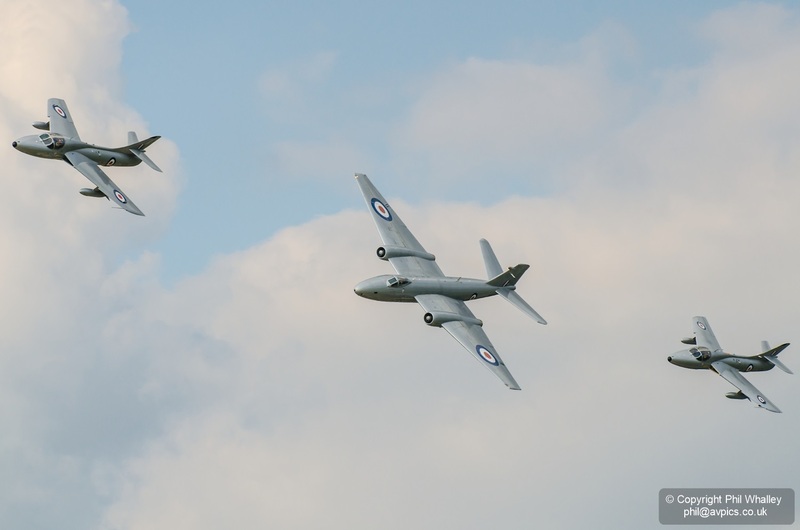 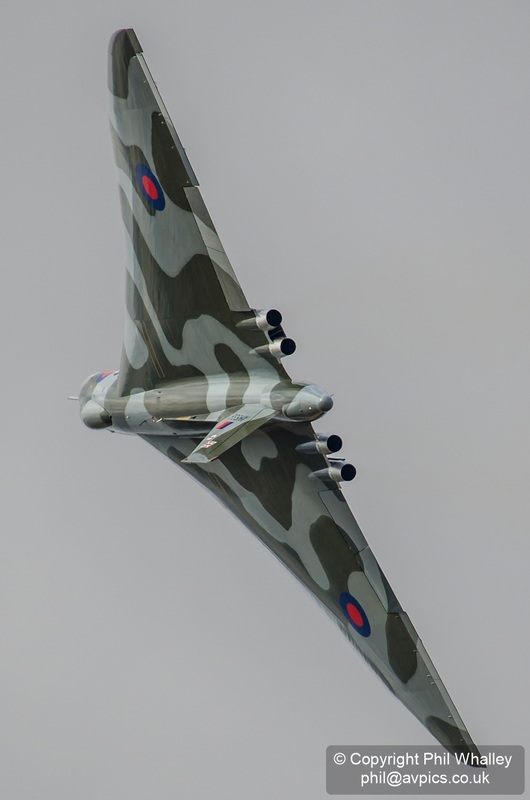 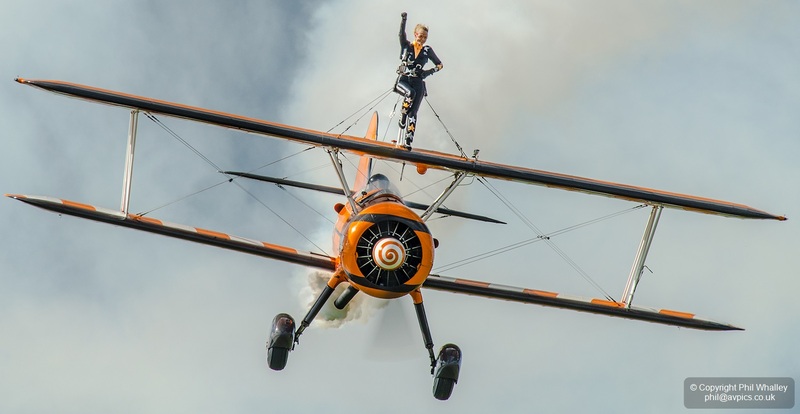 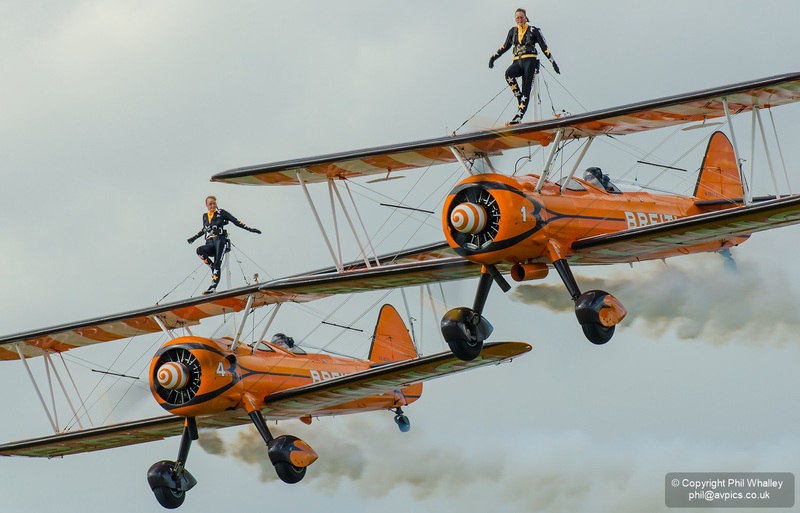 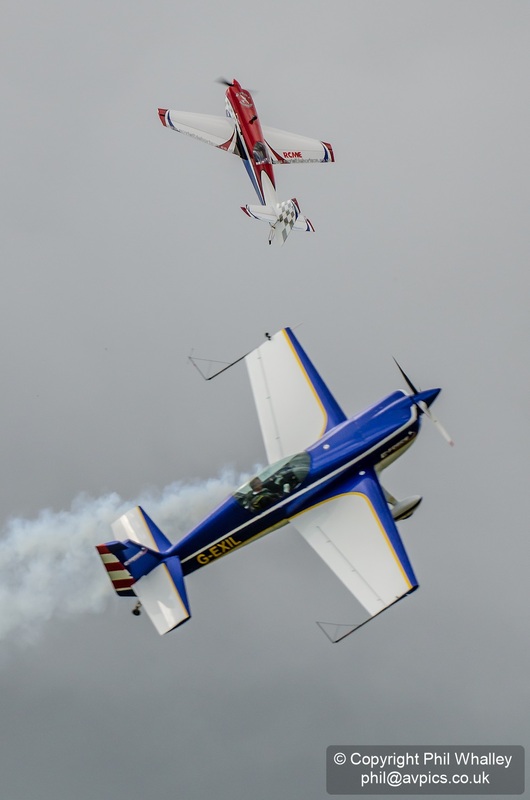 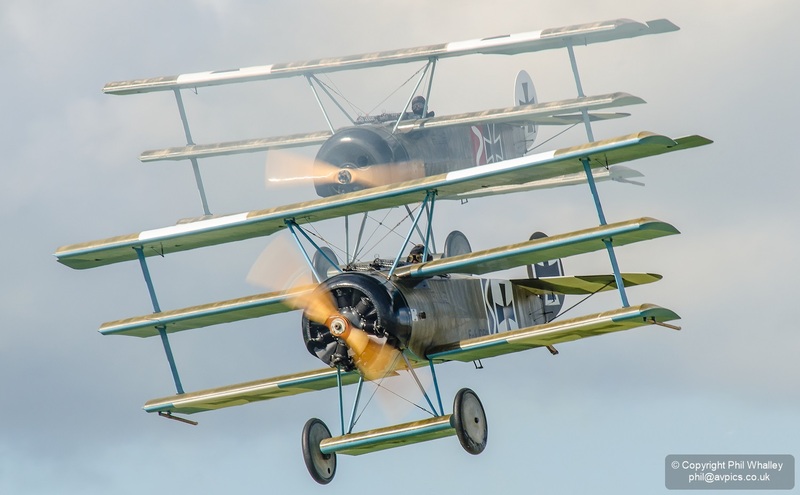 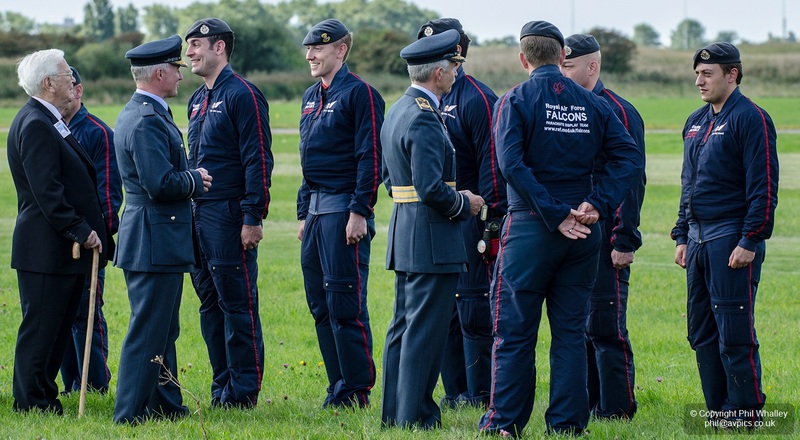 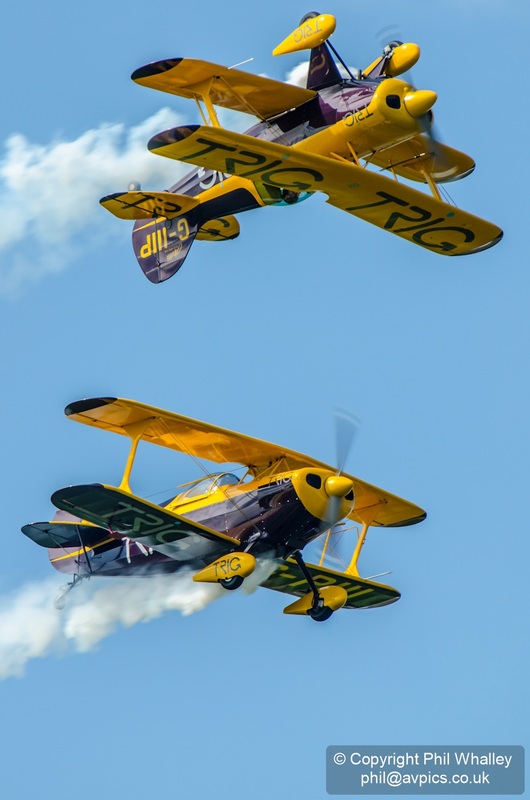 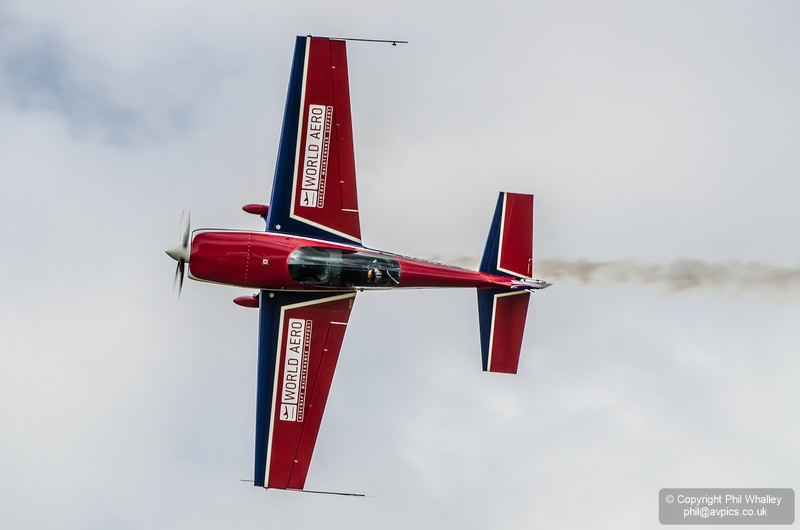 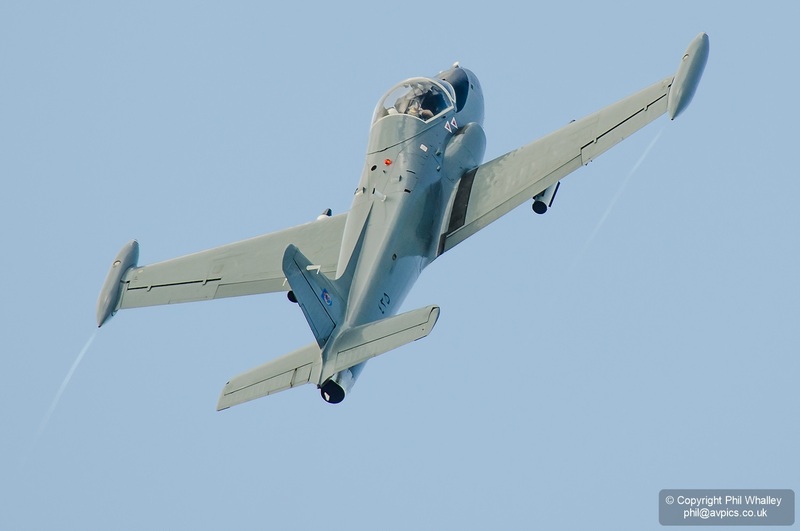 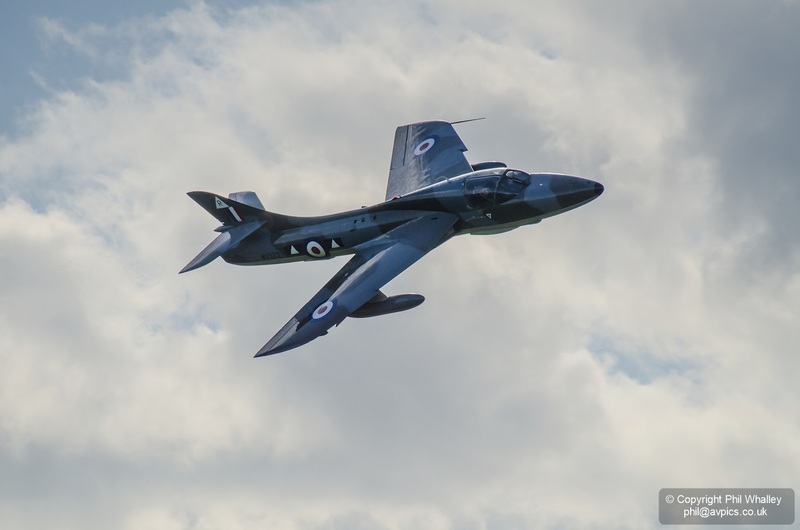 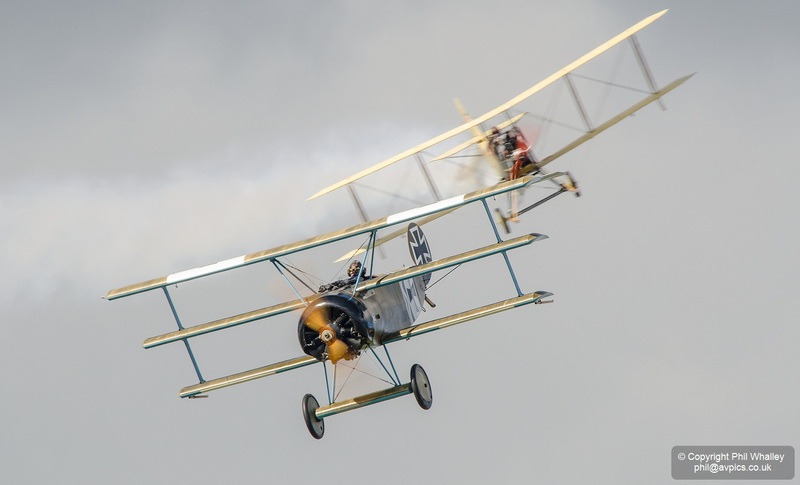 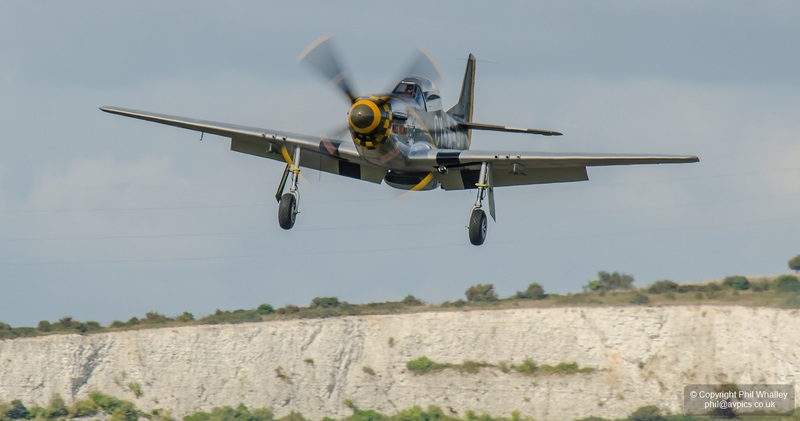 The Shoreham Airshow raises funds for the RAF Association and 2014’s bumper crowd will have been highly beneficial to the charity. 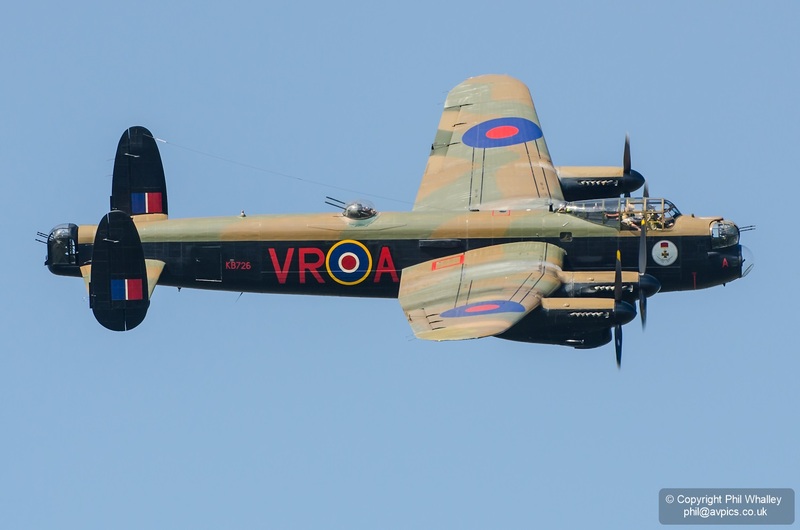 Many will have come to see the Canadian Lancaster which was sadly grounded with engine problems but the show delivered plenty to keep everyone happy. 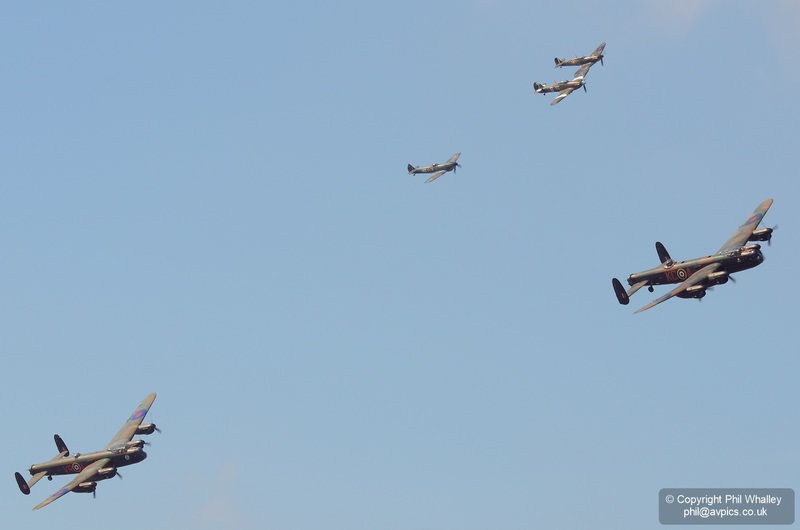 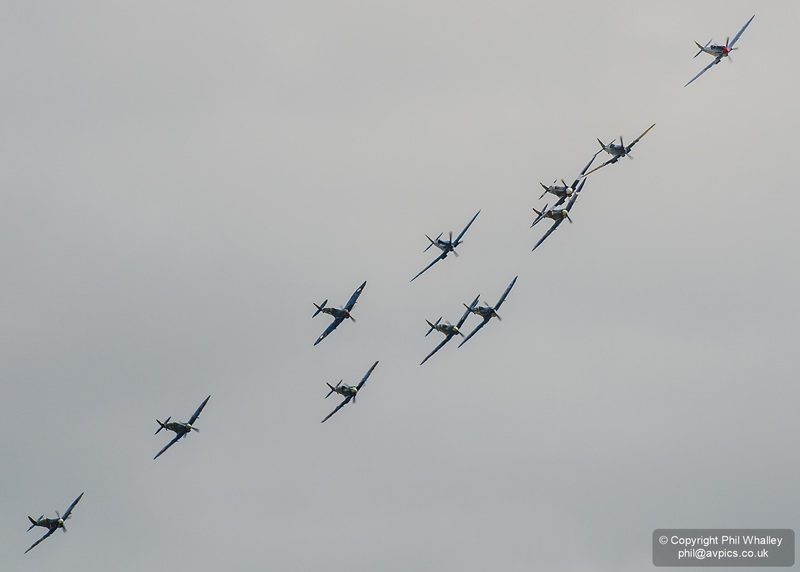 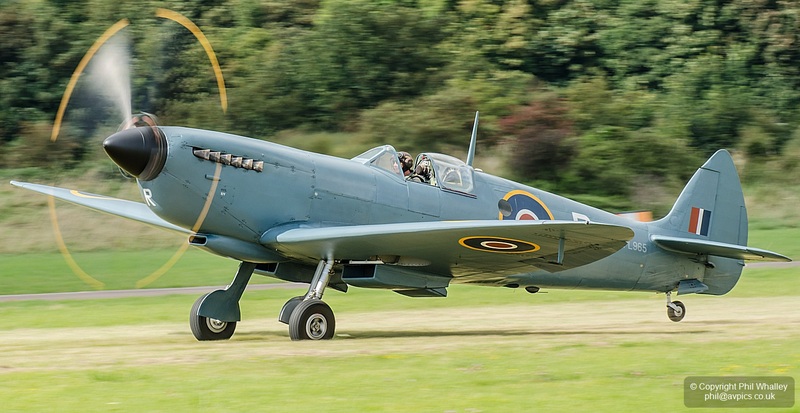 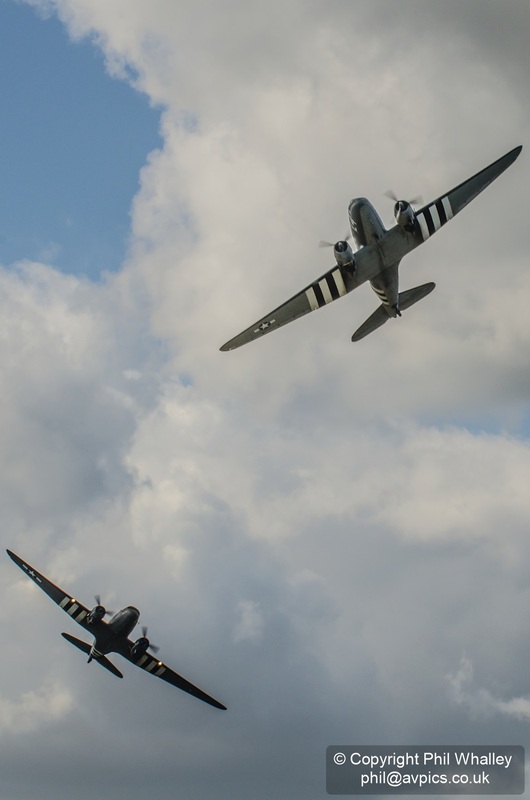 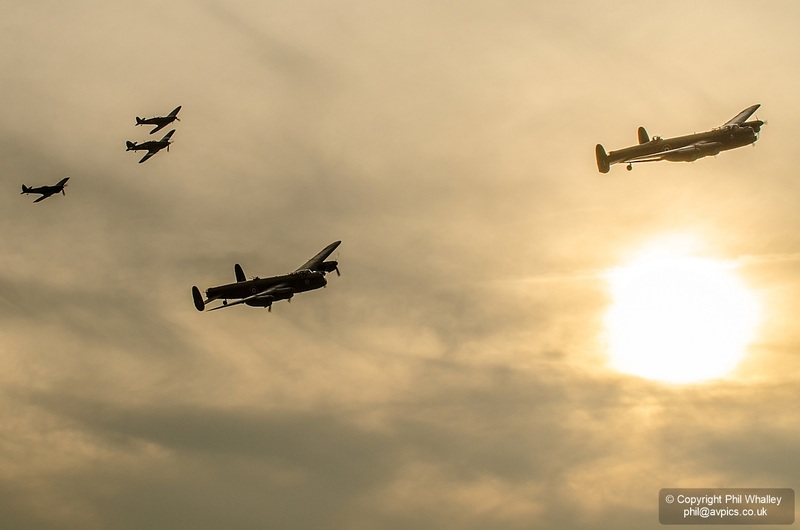 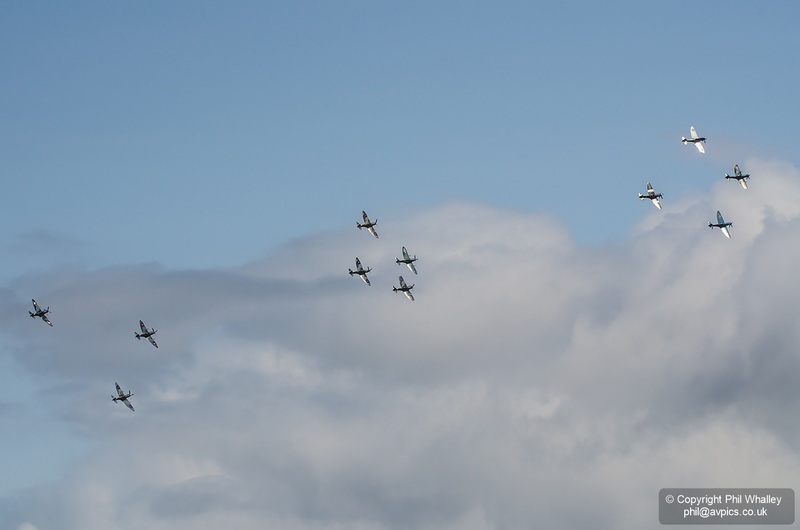 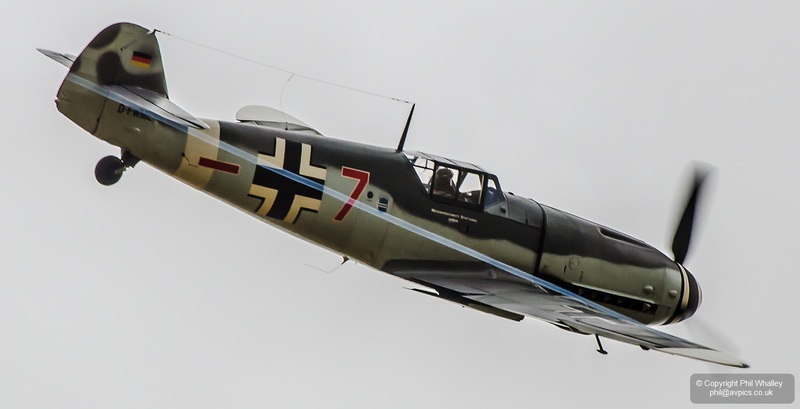 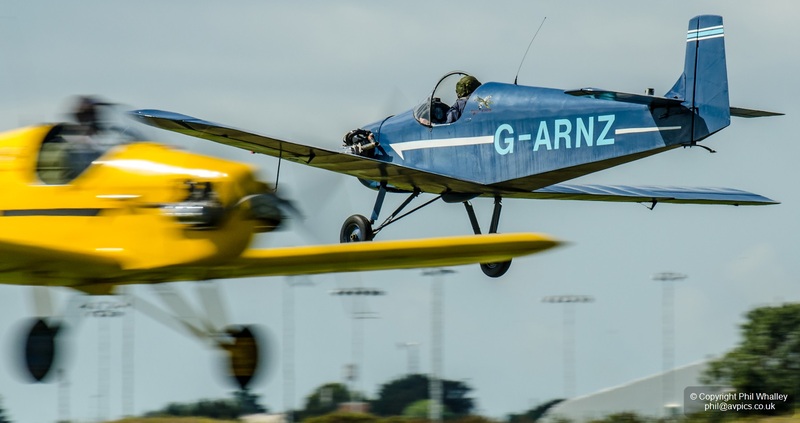 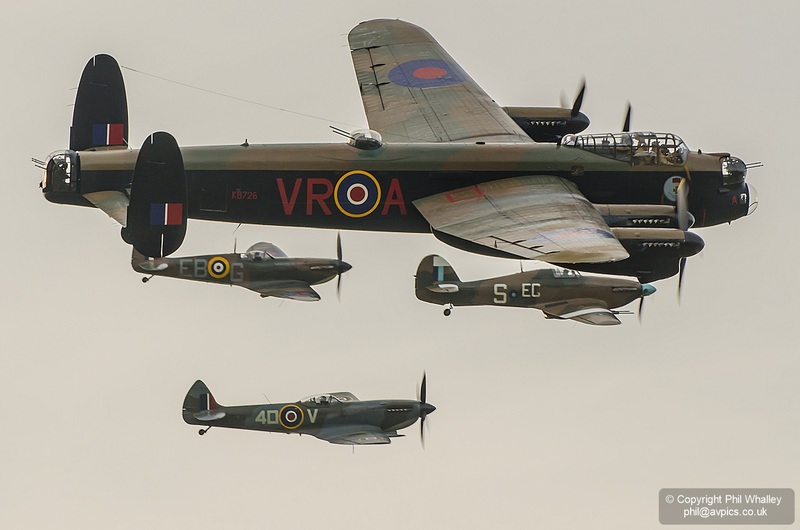 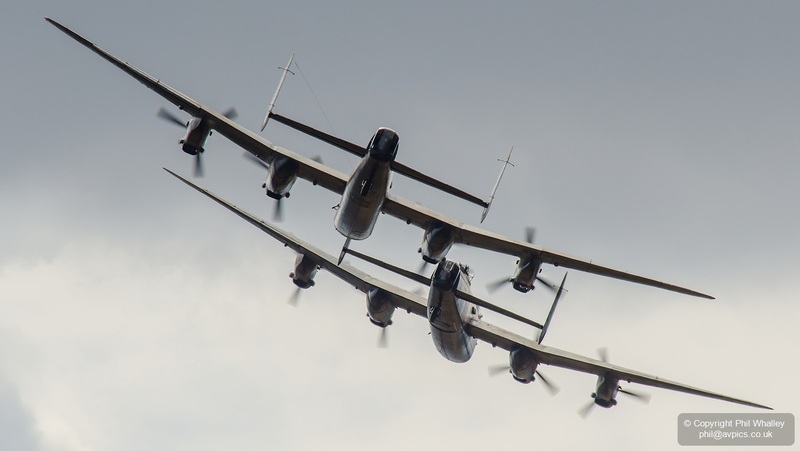 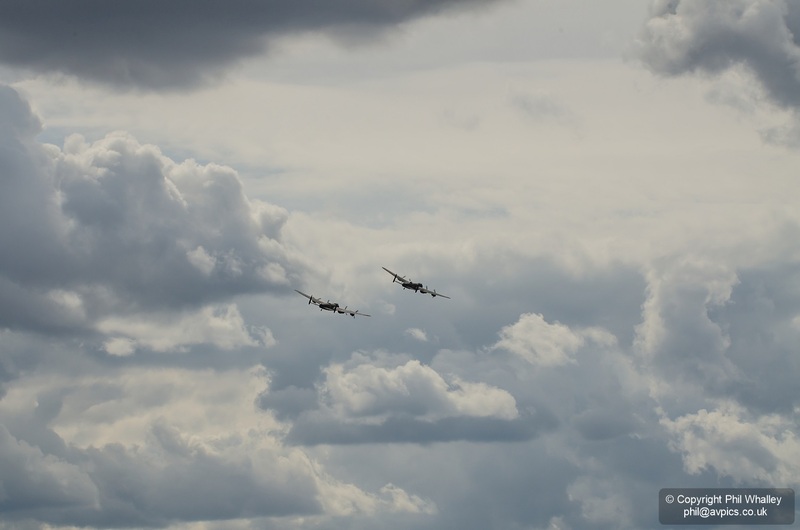 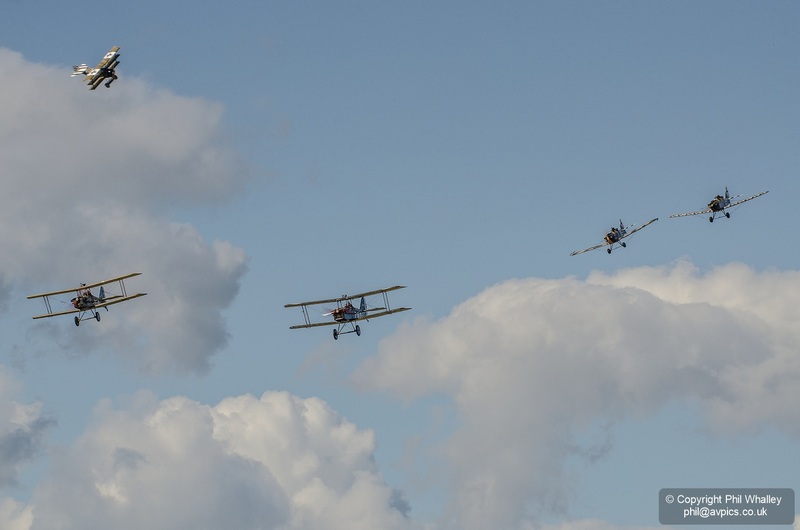 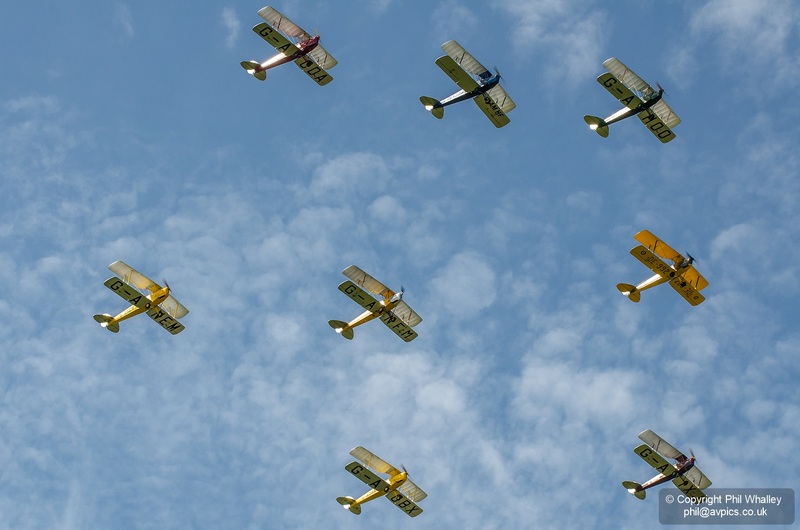 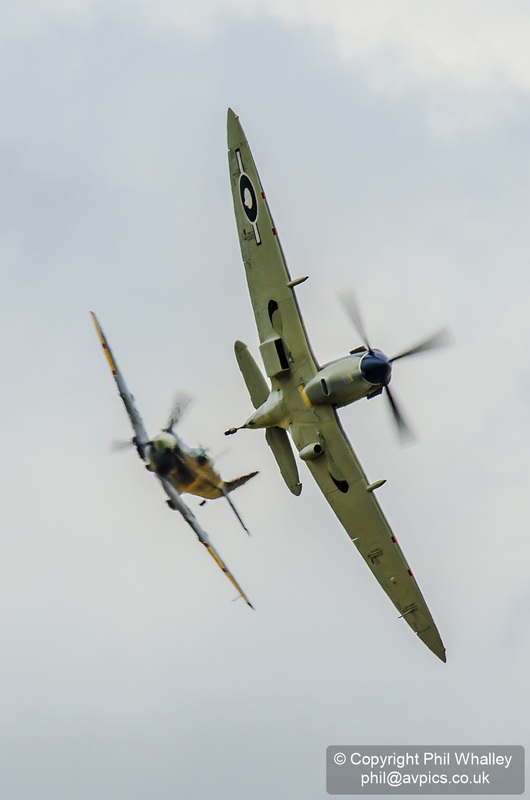 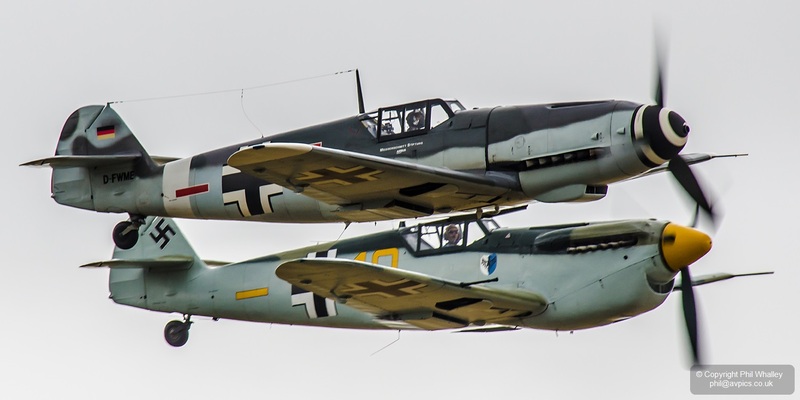 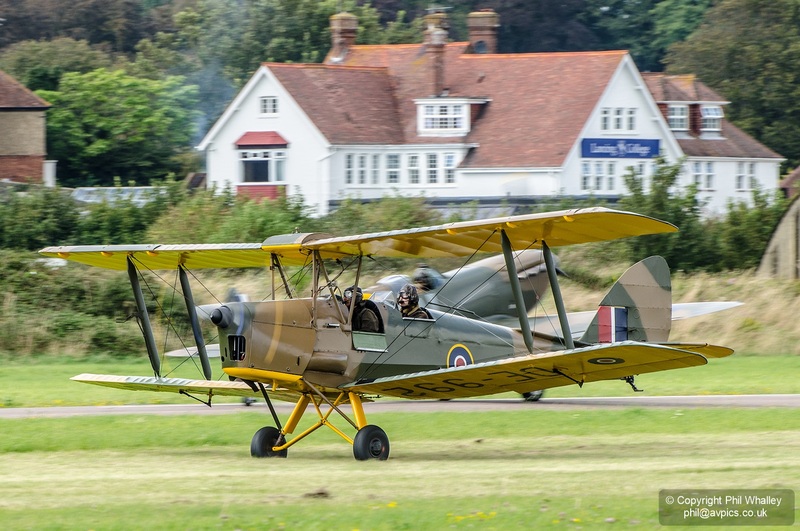 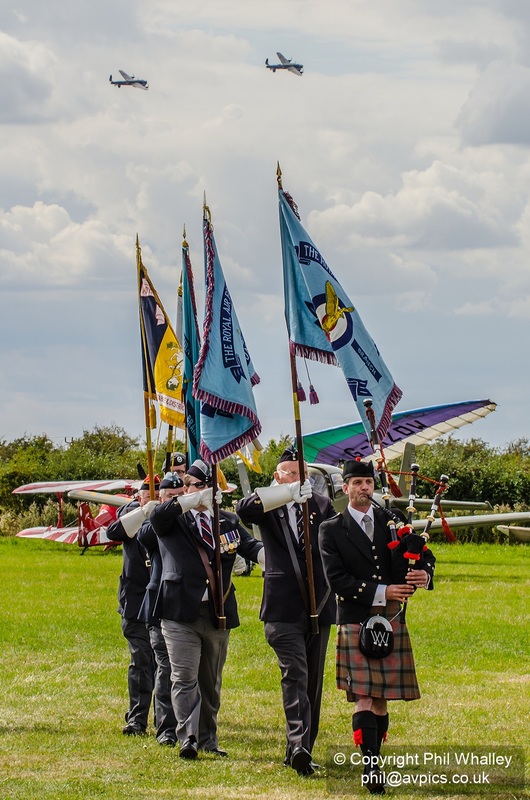 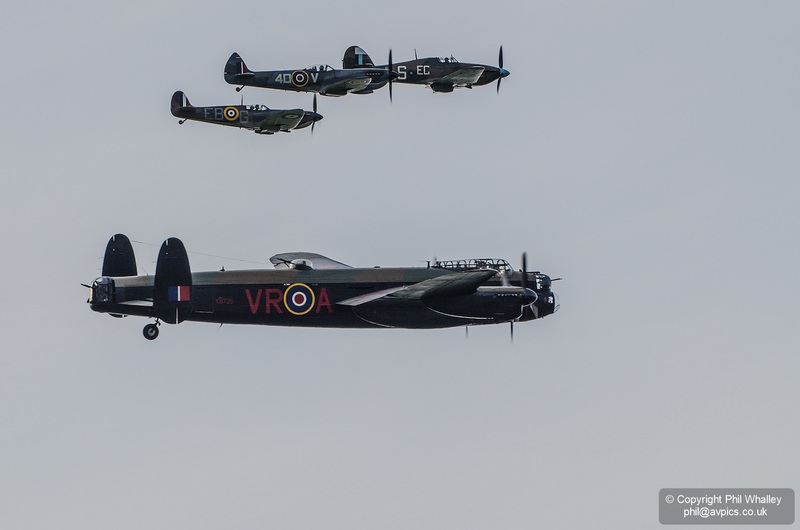 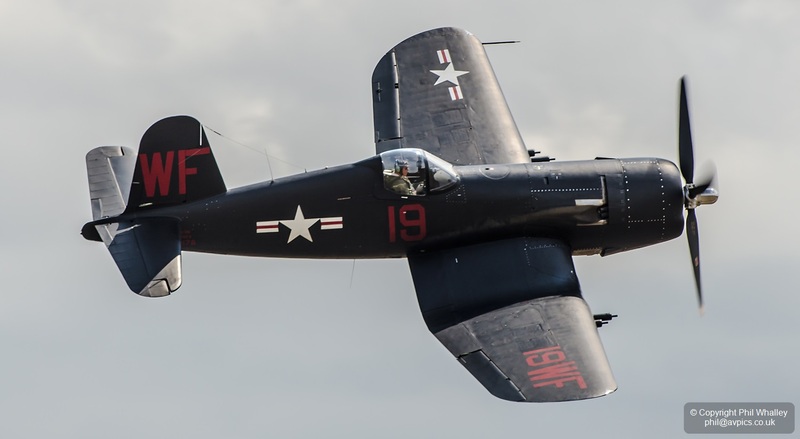 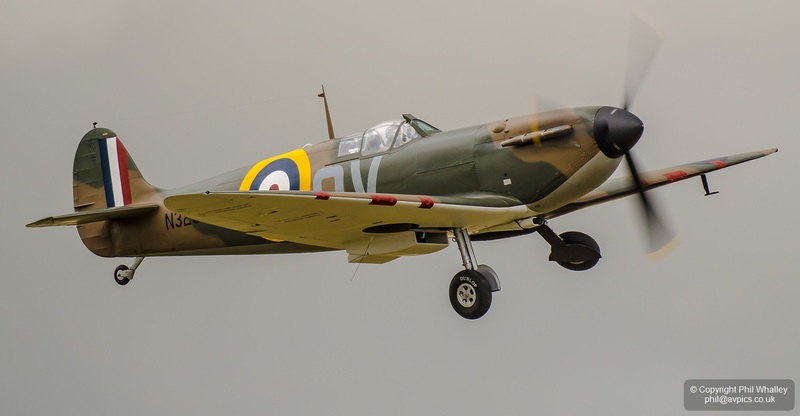 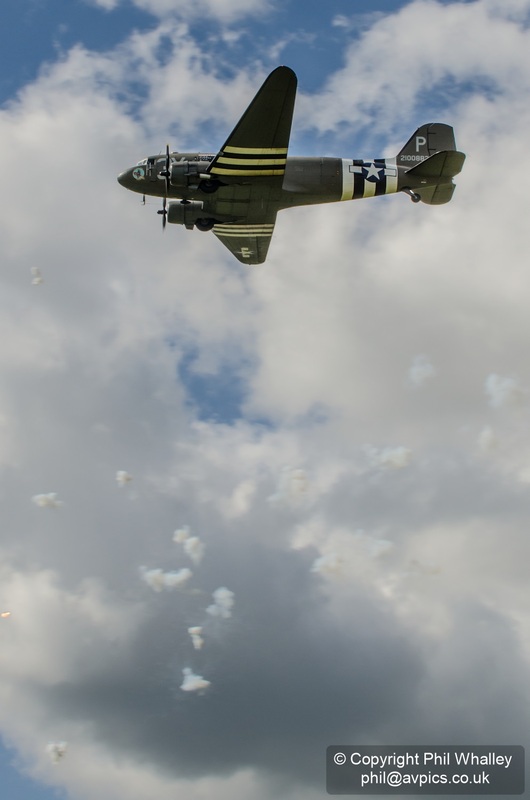 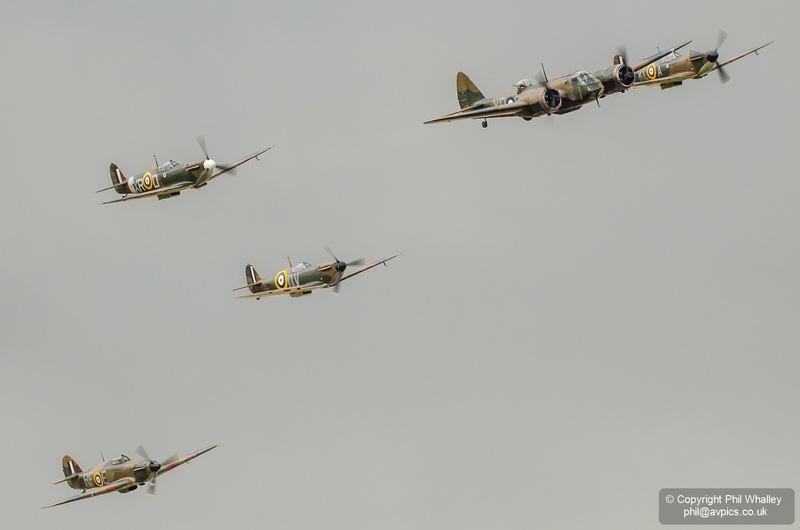 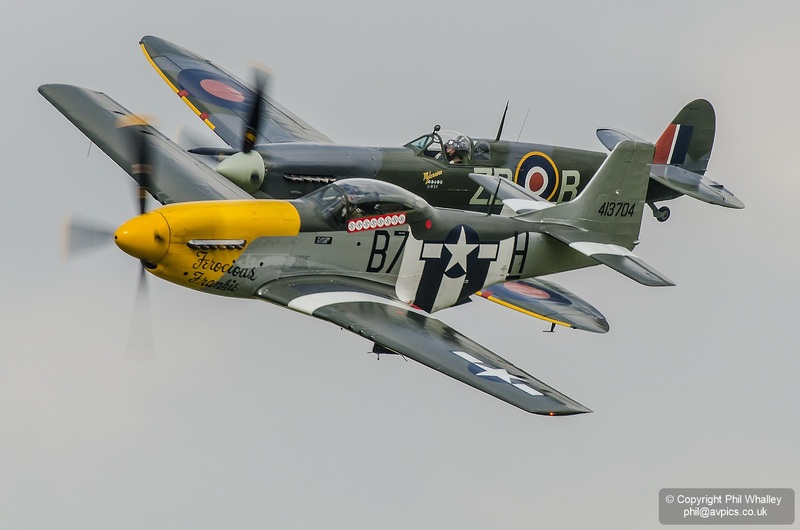 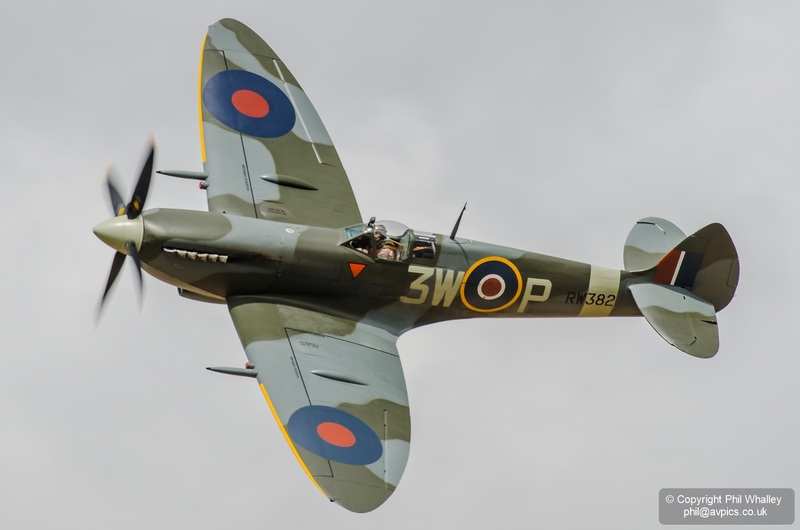 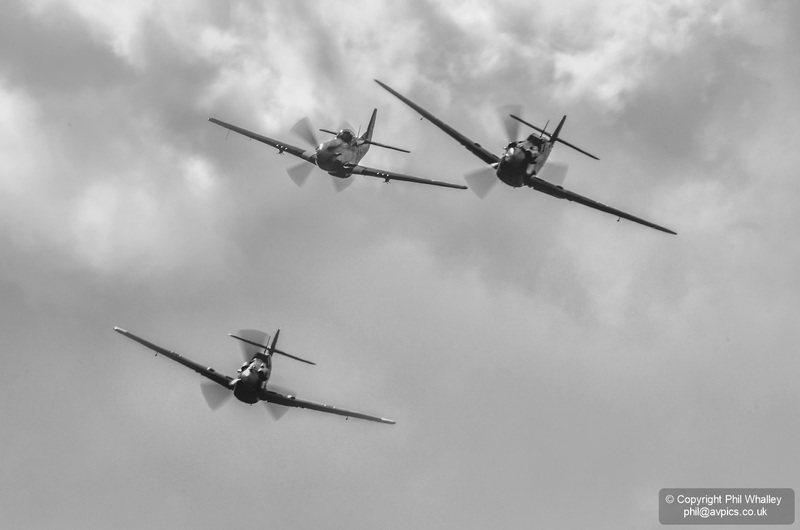 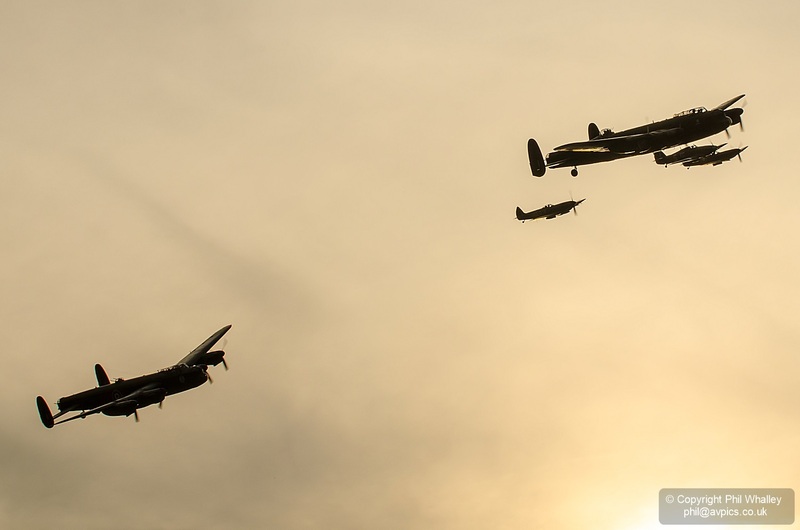 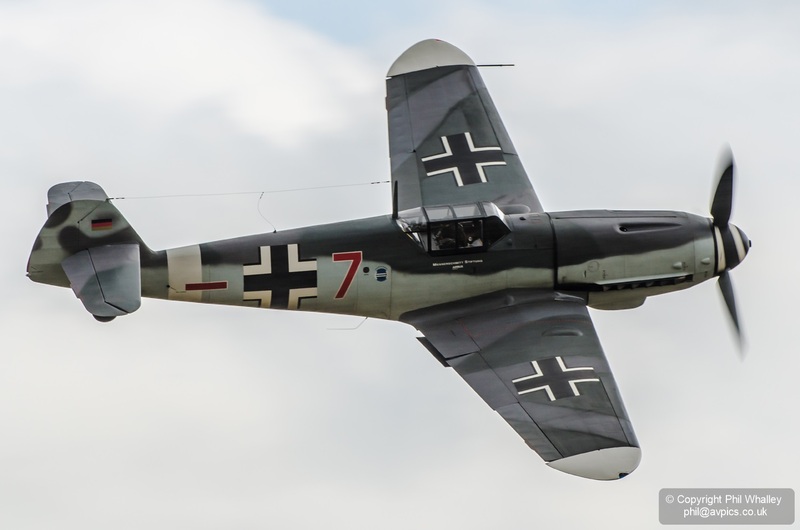 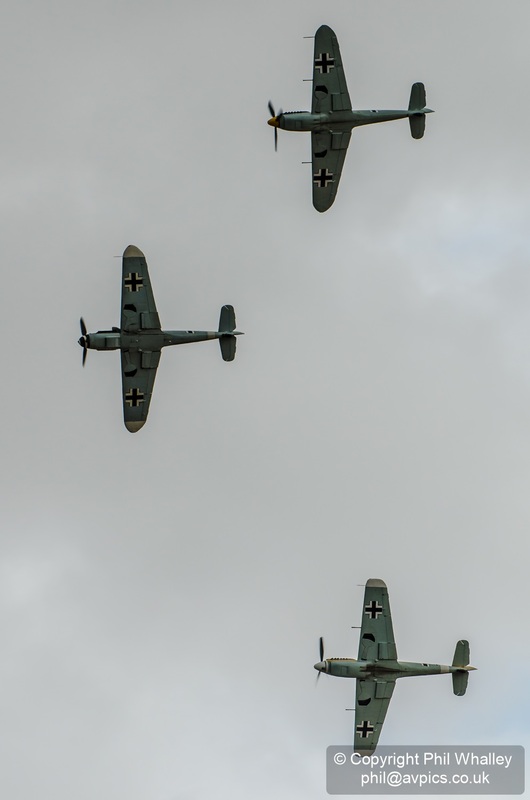 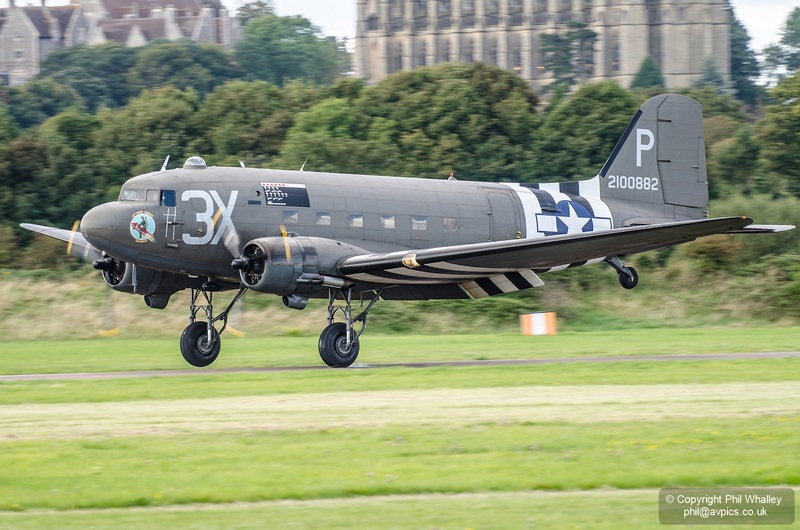 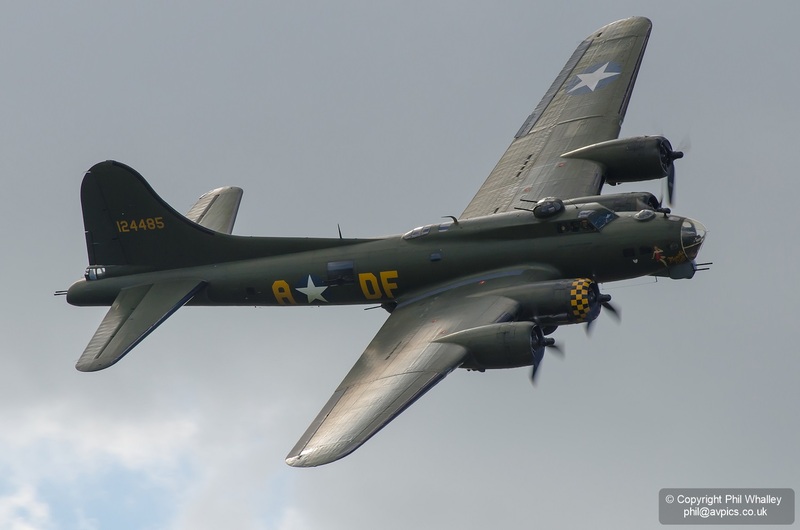 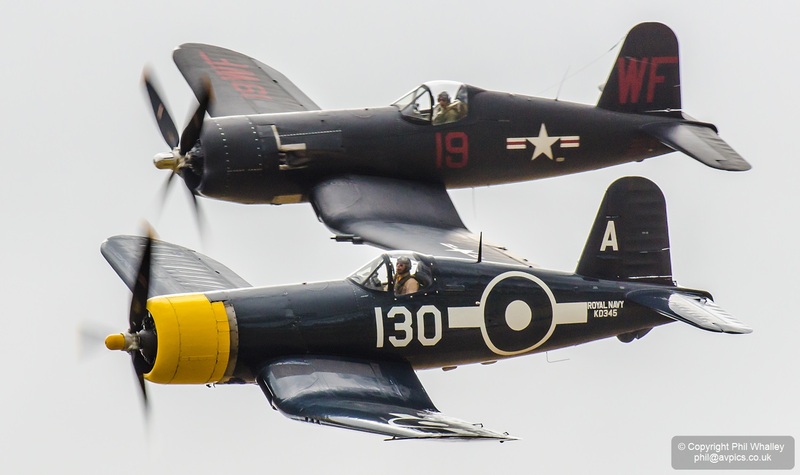 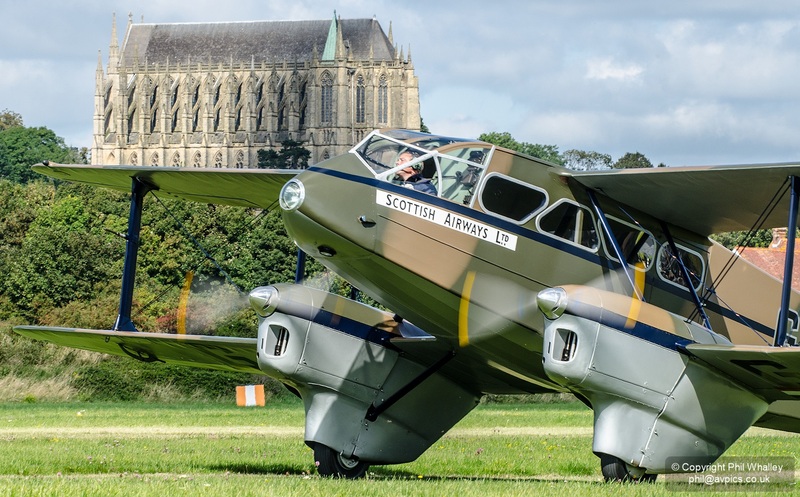 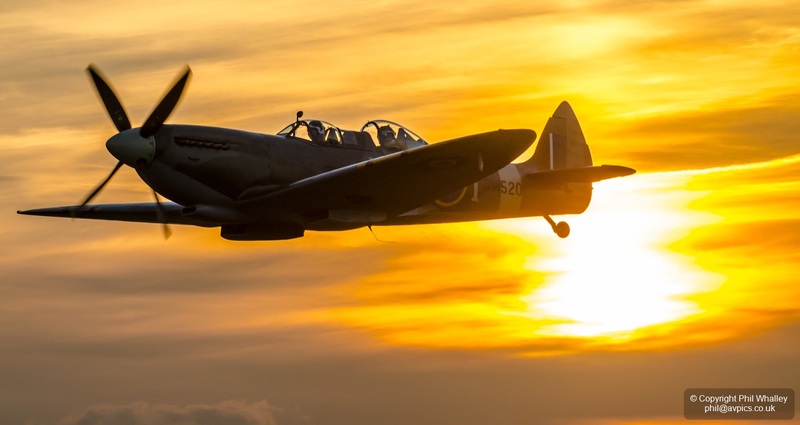 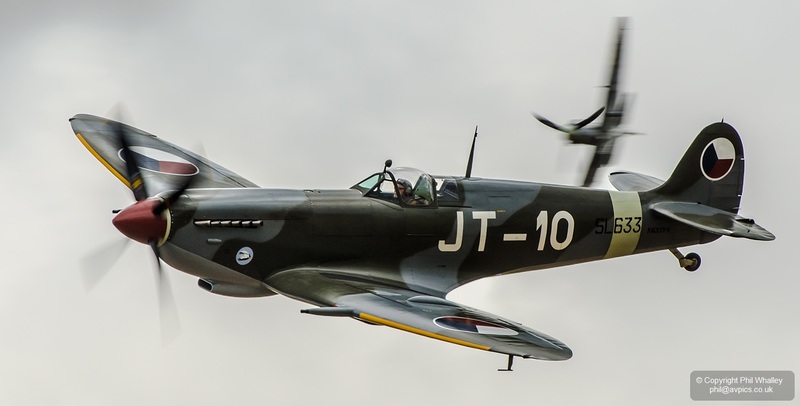 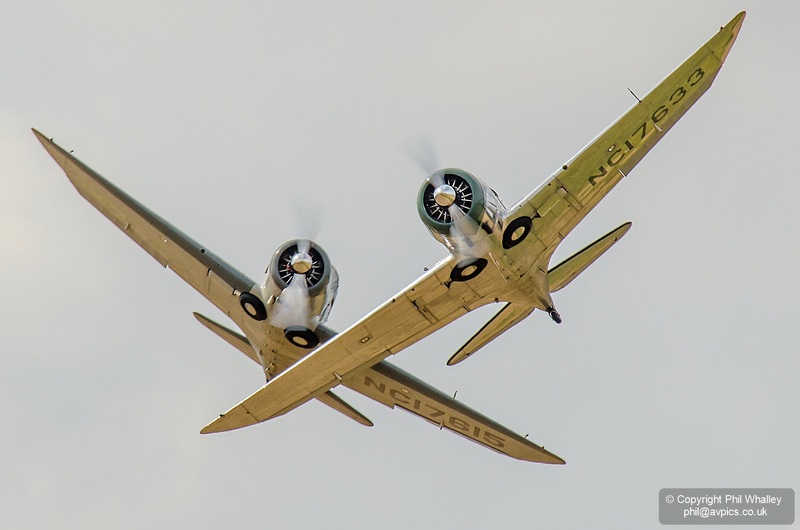 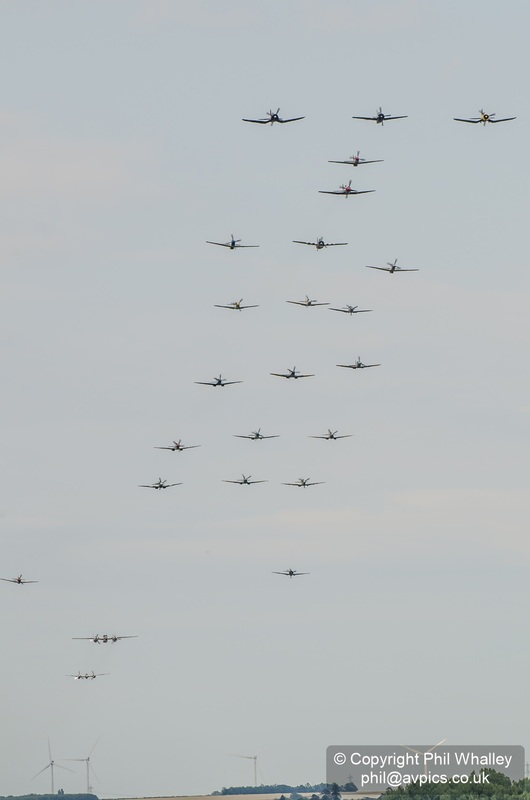 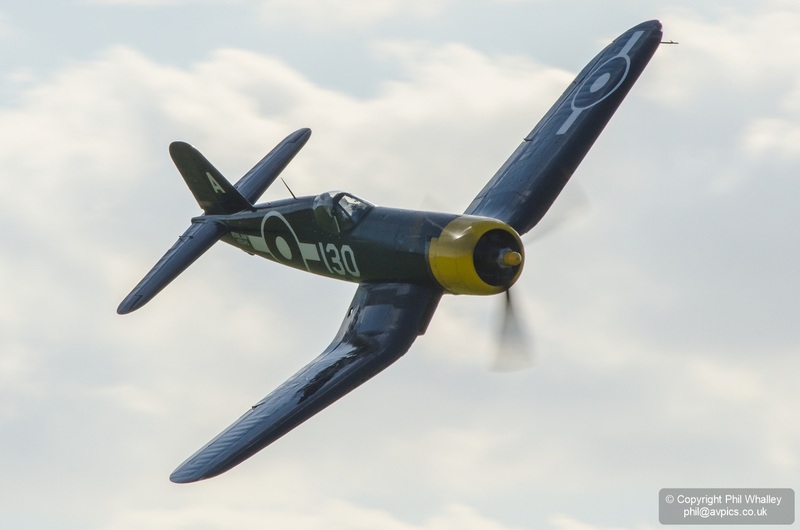 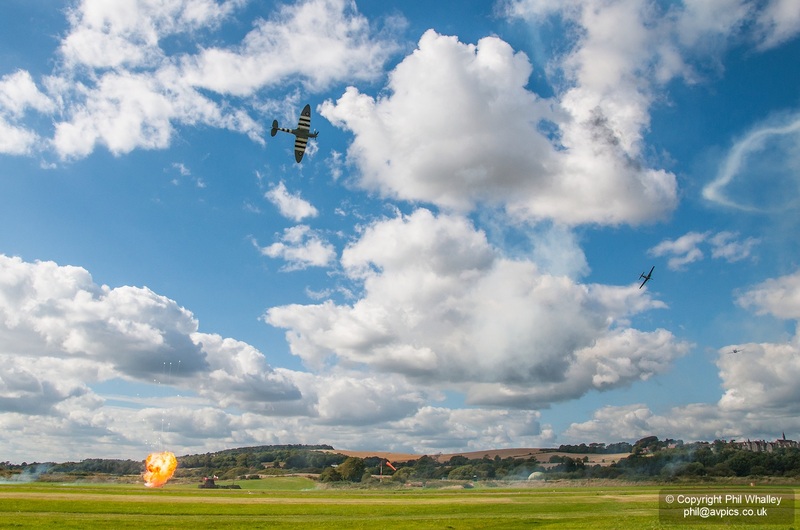 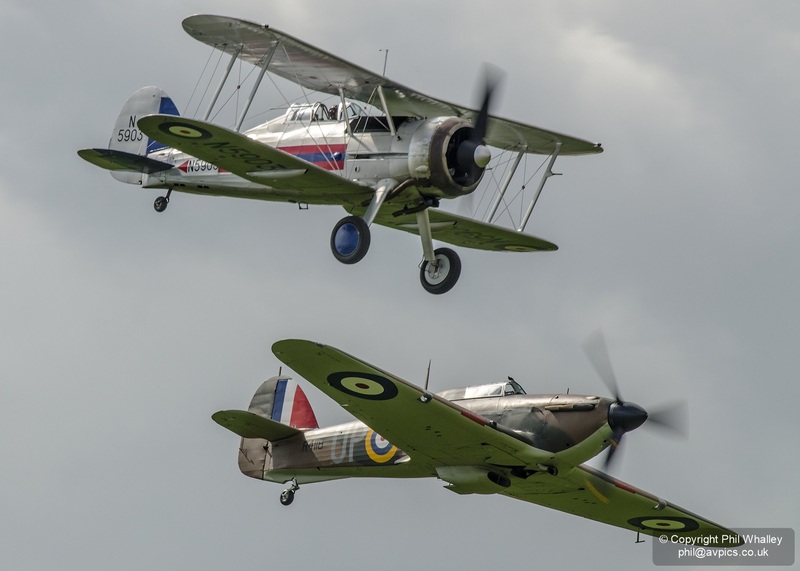 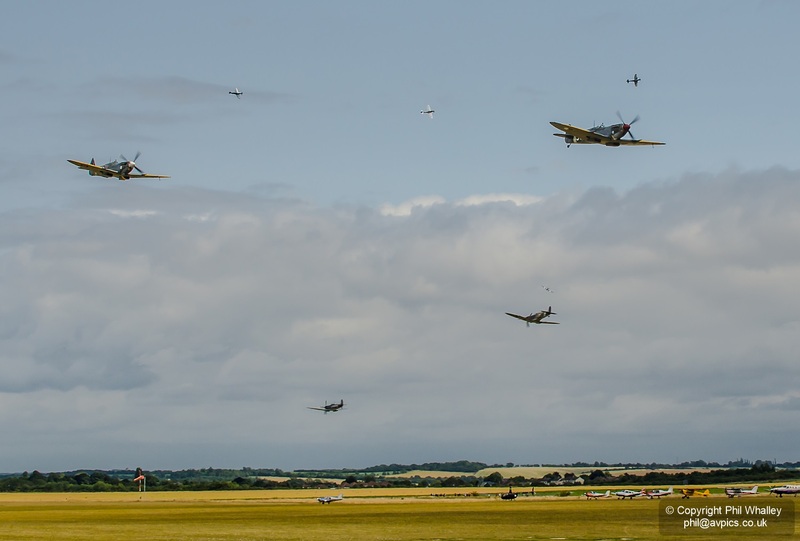 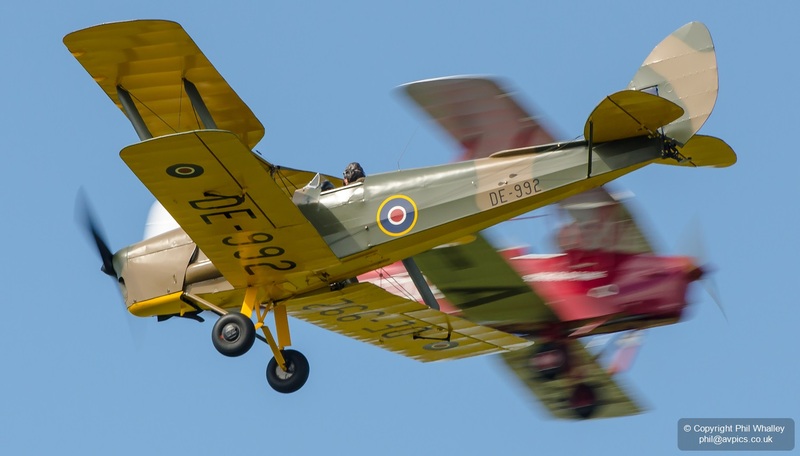 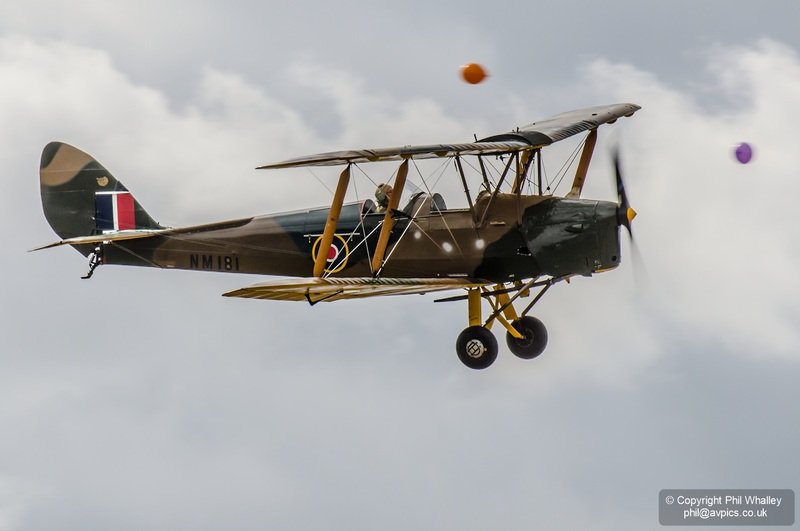 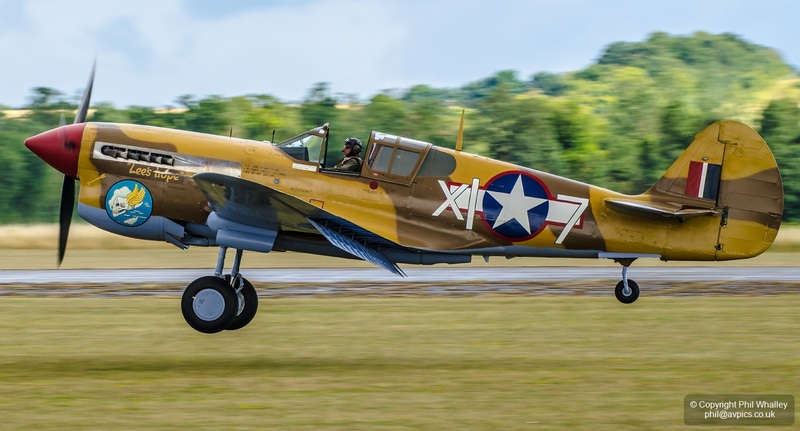 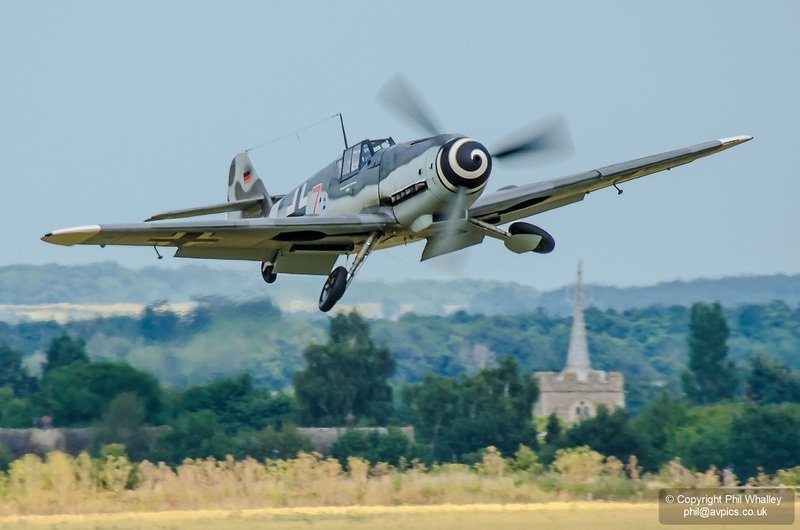 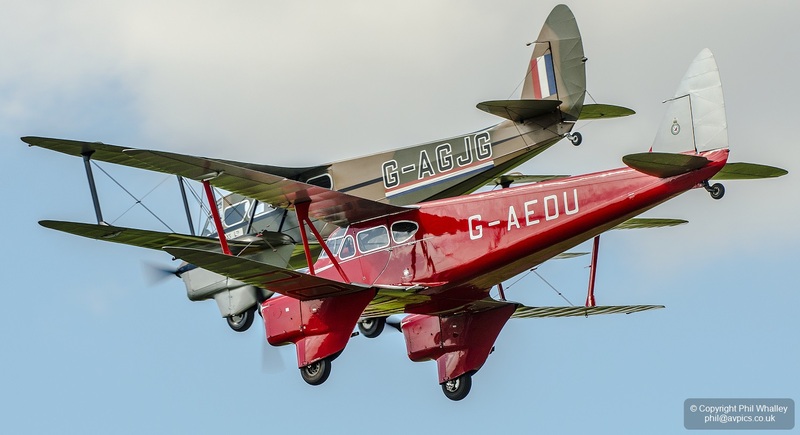 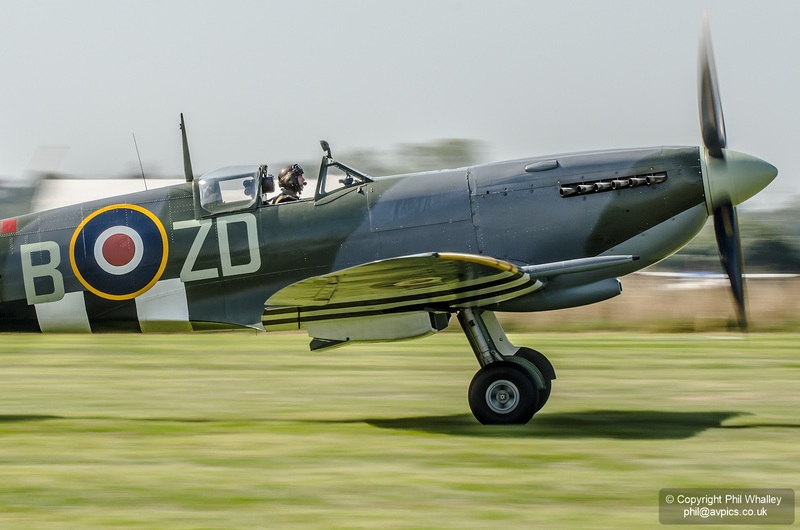 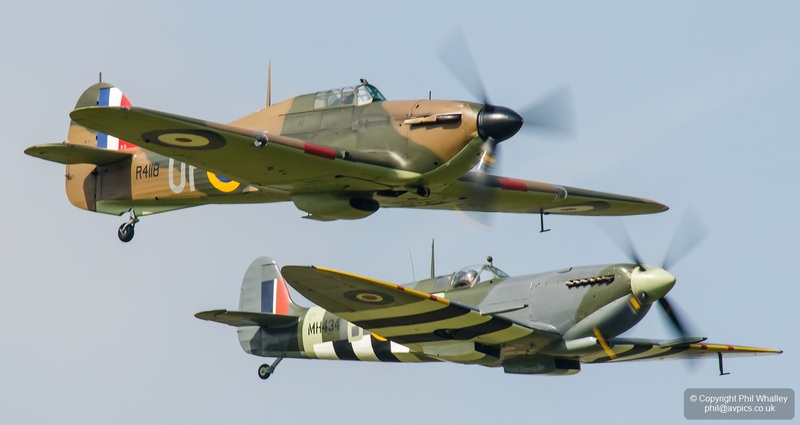 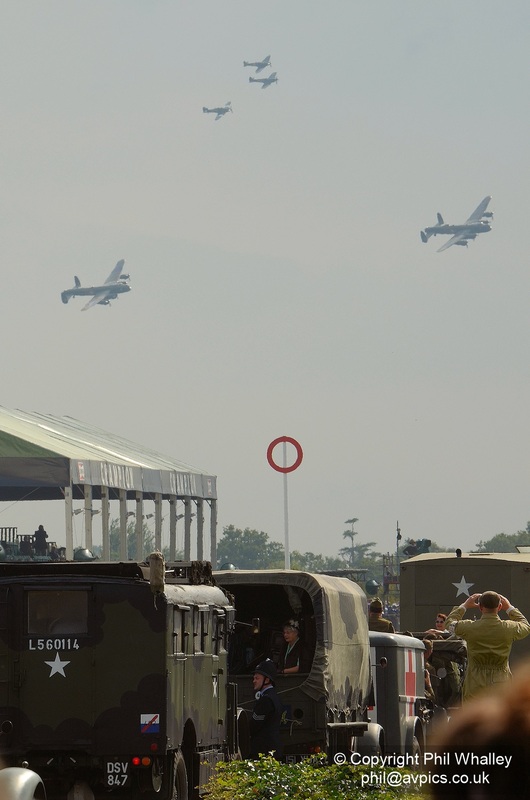 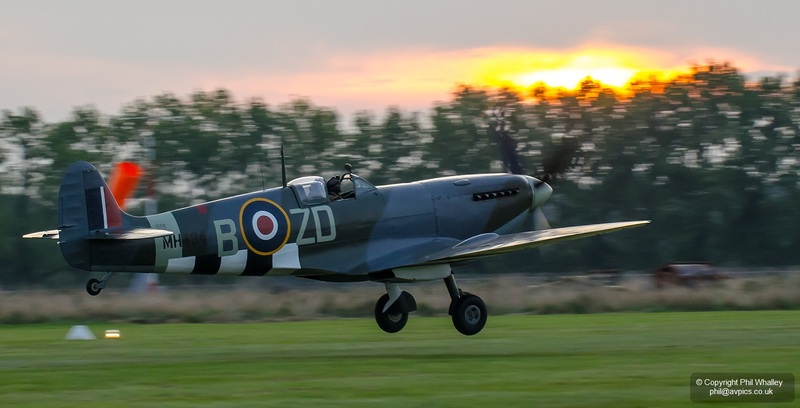 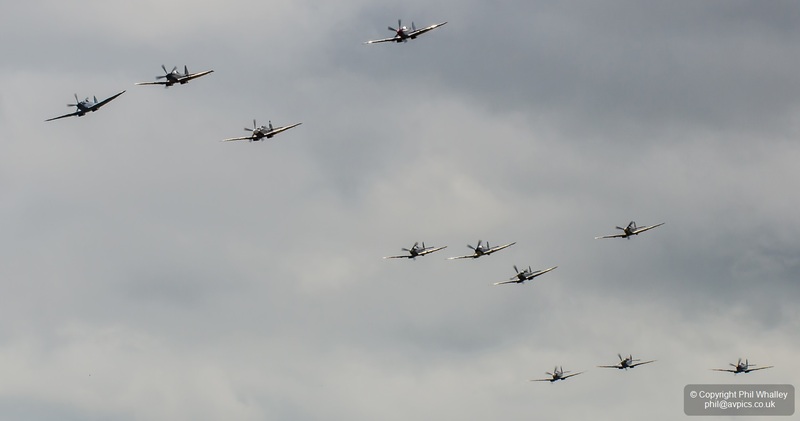 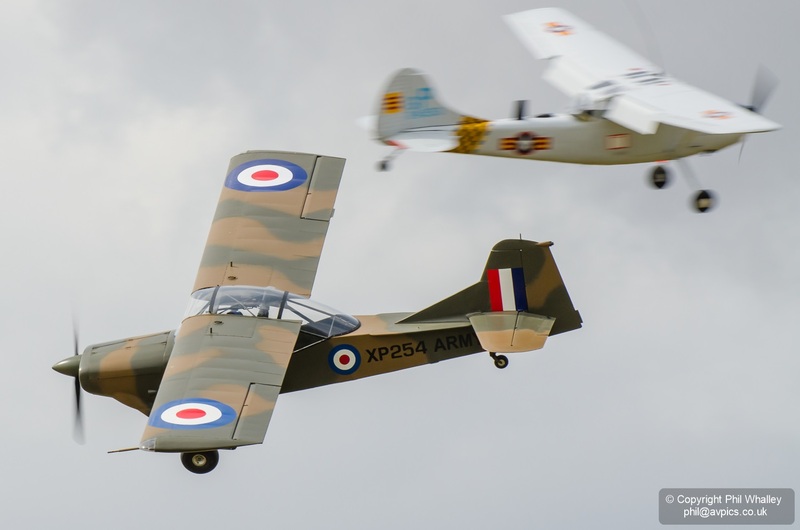 The customary Battle of Britain set-piece gave way to a 70th anniversary D-Day commemoration with an enacted invasion of the airfield featuring two Dakotas (avoiding the ‘flak’) and a variety of fighters. 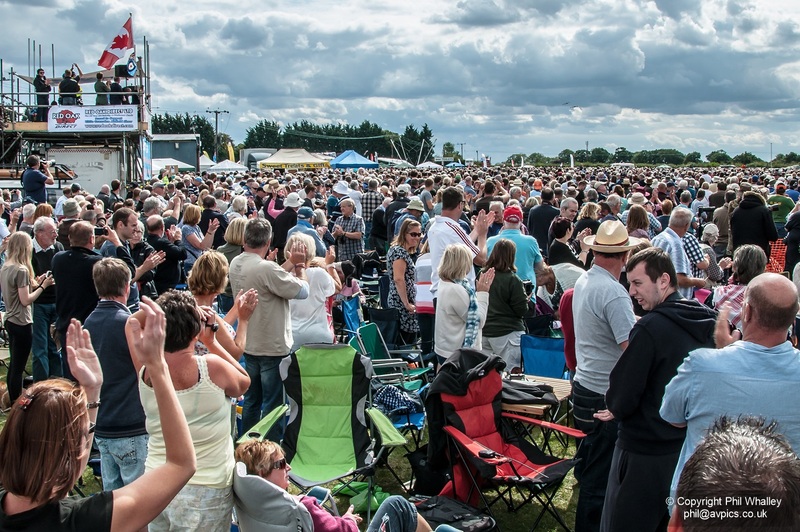 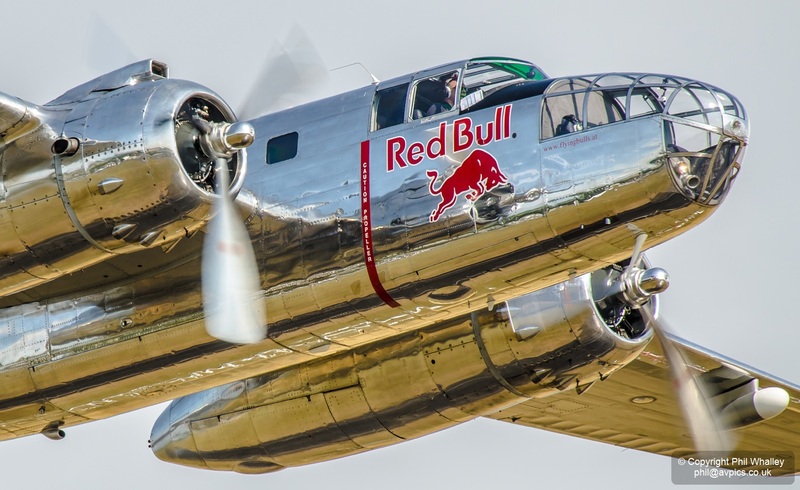 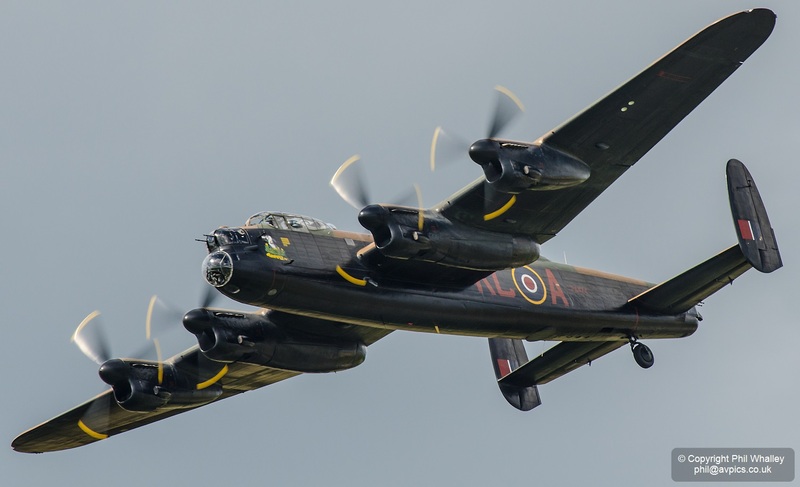 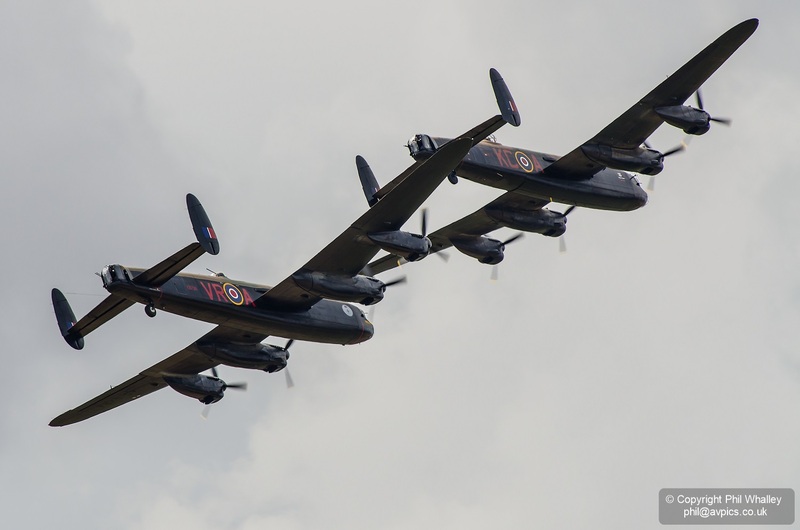 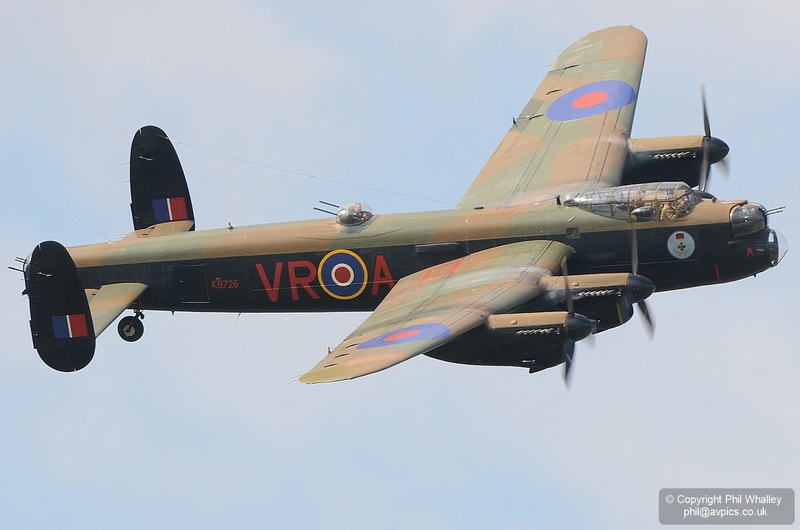 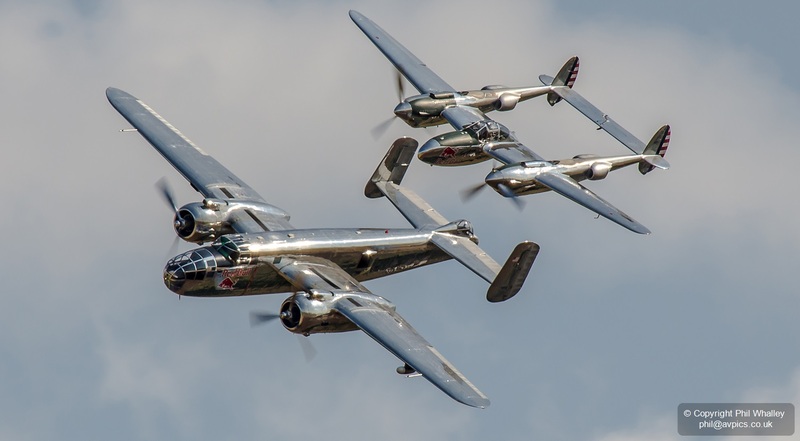 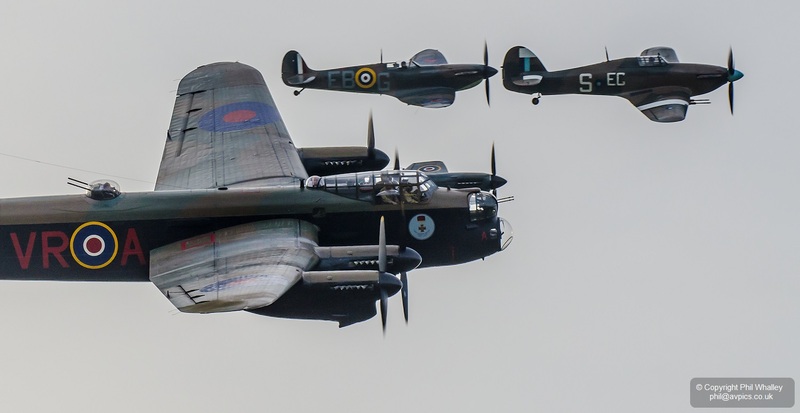 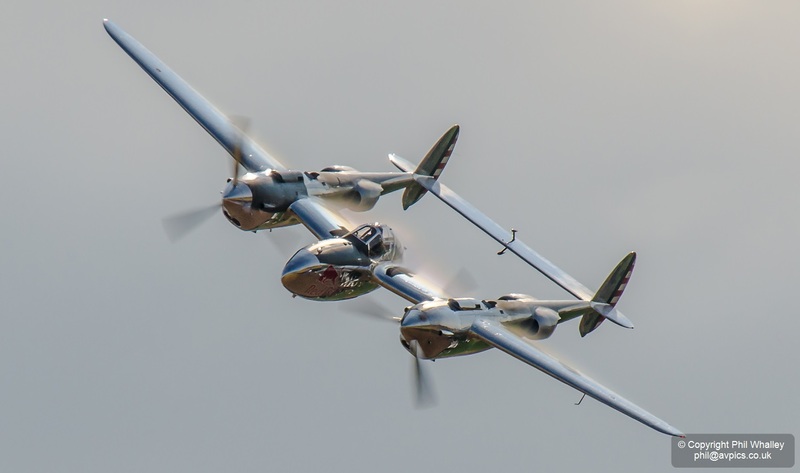 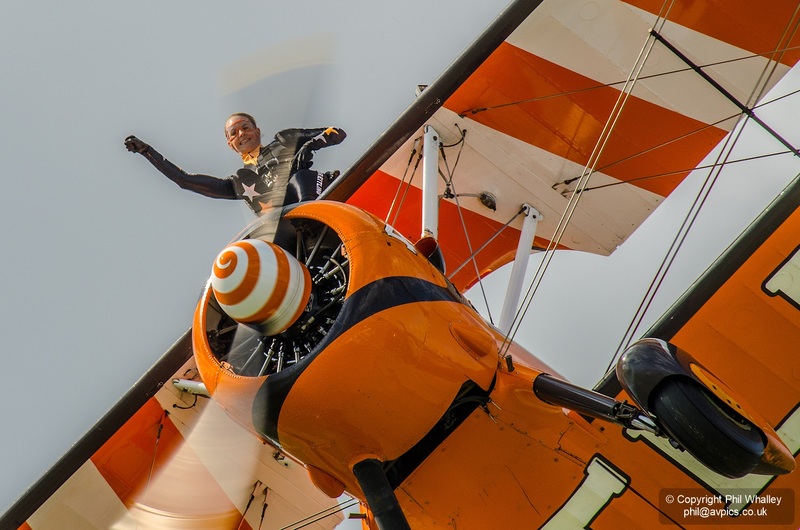 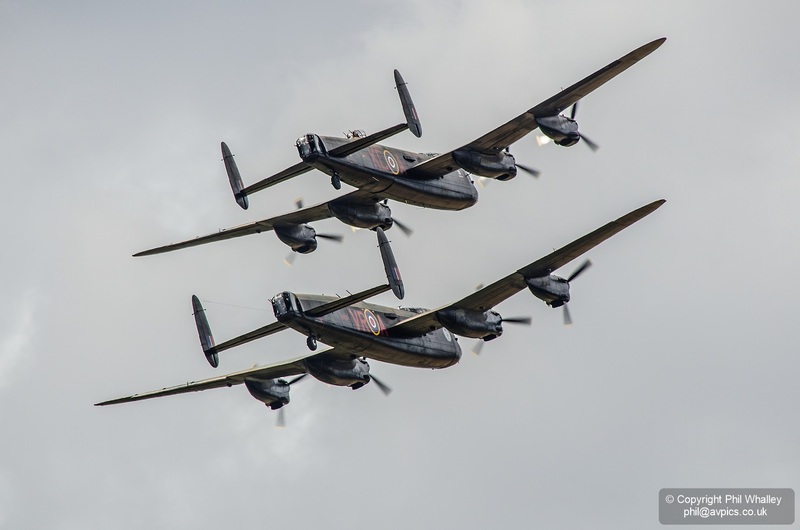 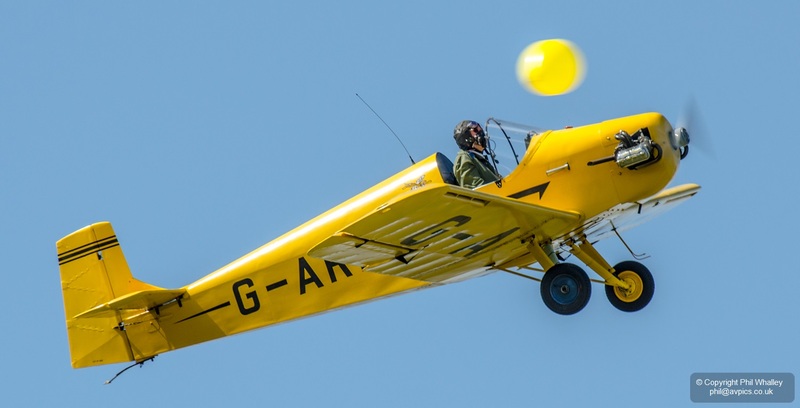 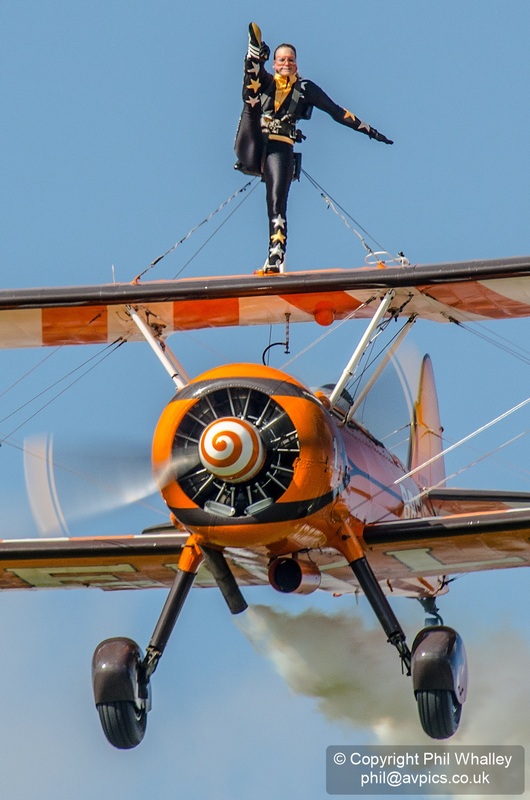 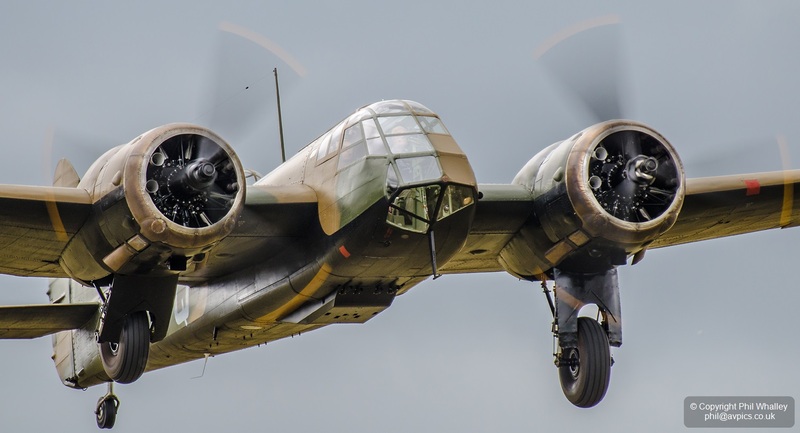 ‘The Lancaster Effect’ ensured a sell-out crowd at Little Gransden, and a record attendance amounted to an amazing donation of nearly £64,000 to Children in Need and a further £12,000 to local childrens charities. 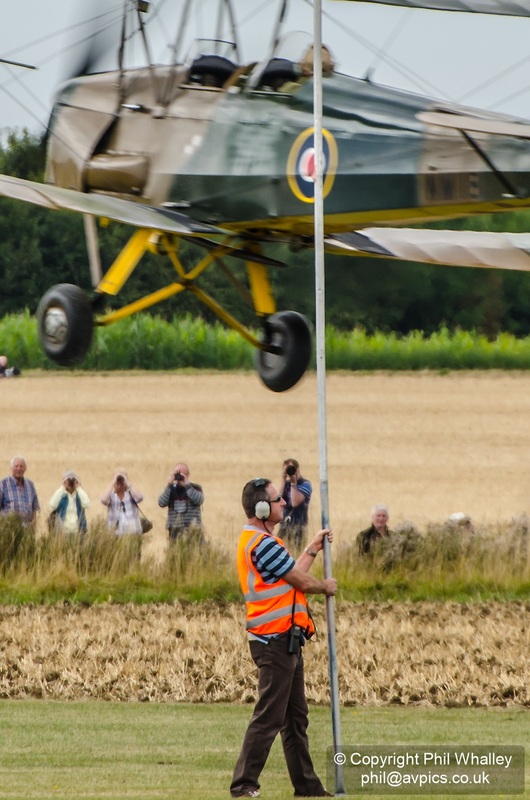 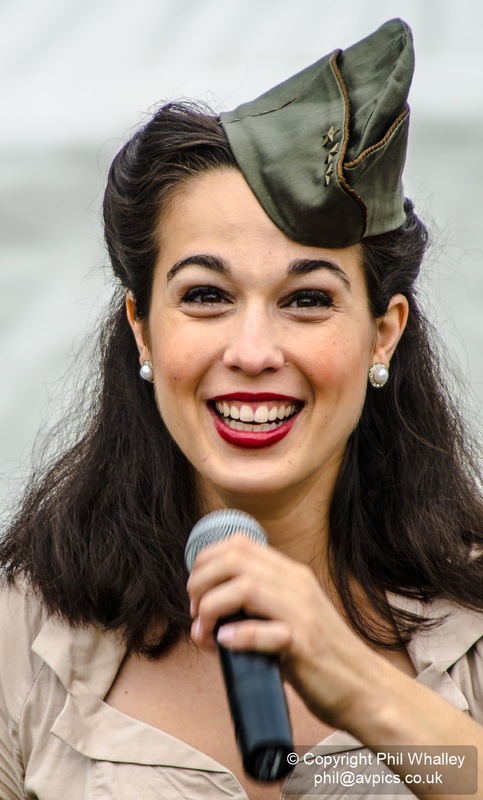 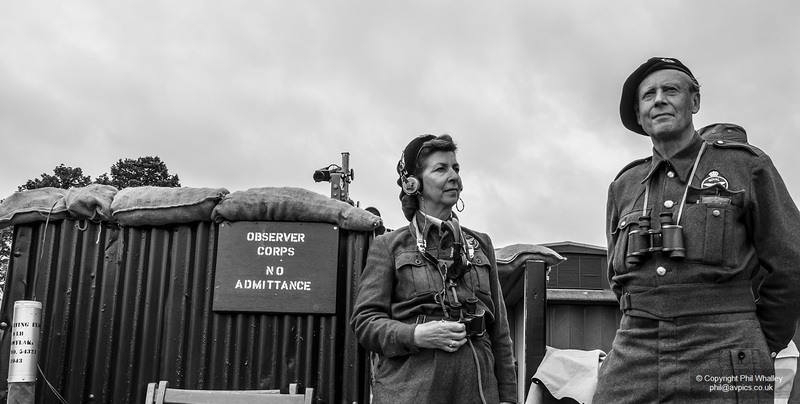 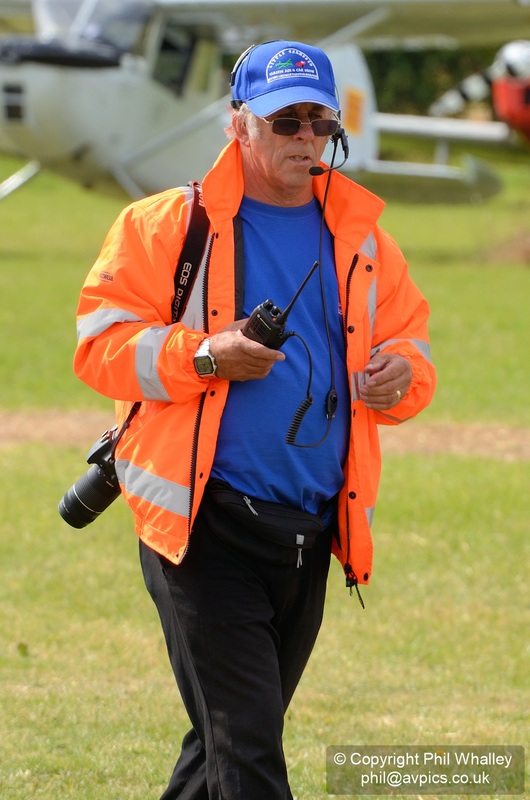 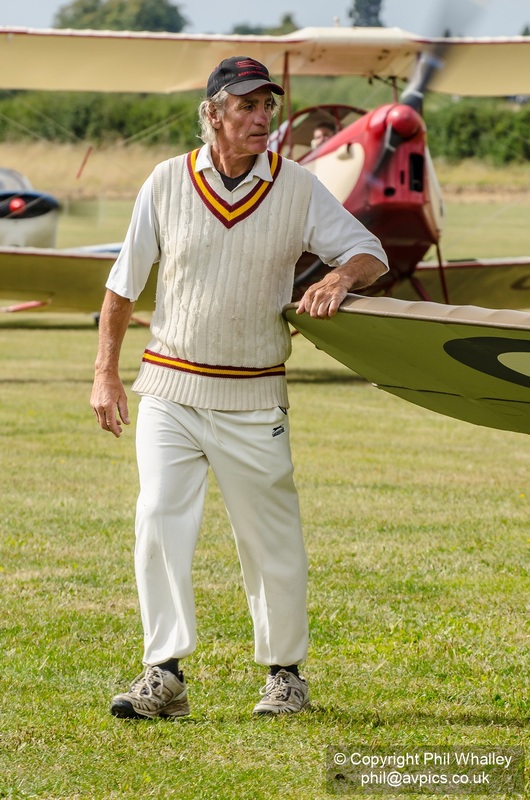 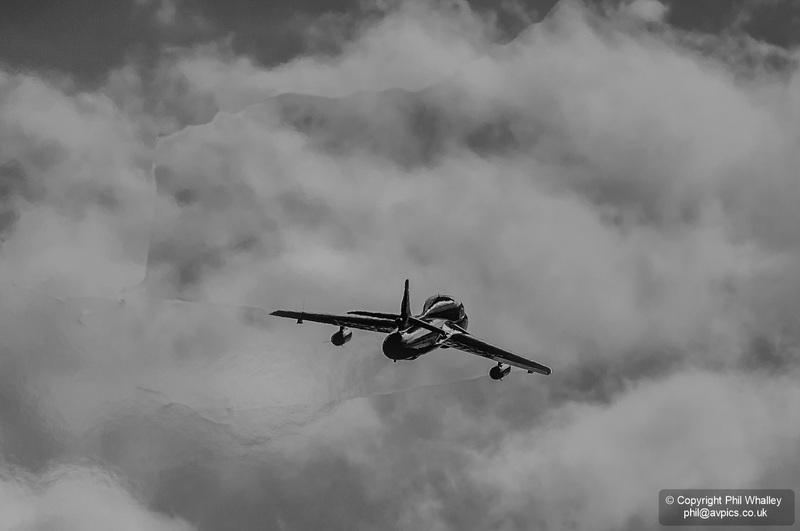 Dave Poile (pictured at work during the show) and his hard working team put together another packed and eclectic flying program, but it was the appearance by the pair of Lancasters that will live longest in the memory.